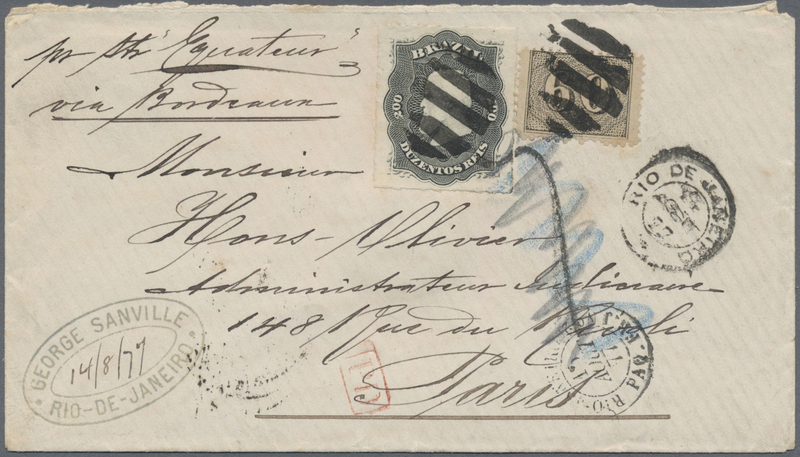 11575 Brief (cover) Briefstück (on piece) 5 (Sc. 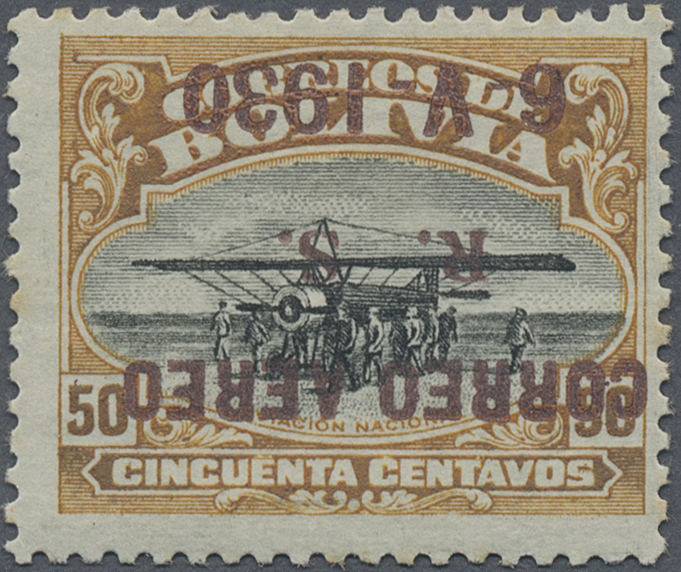 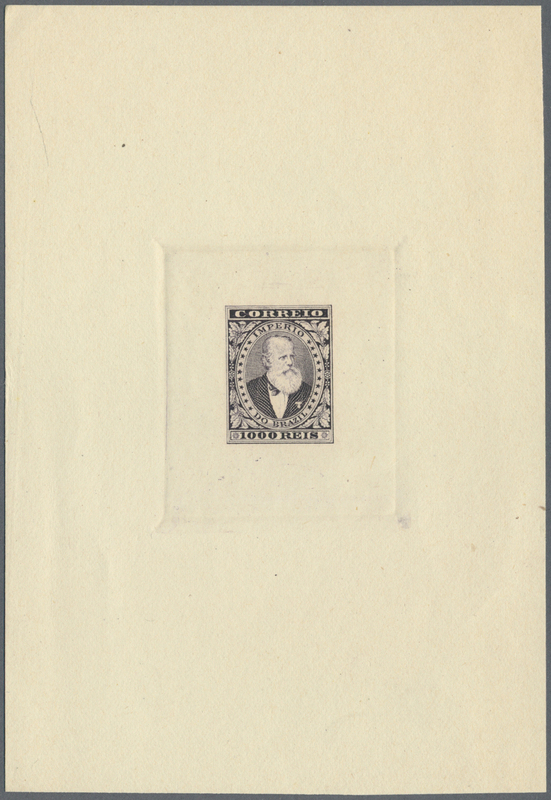 3) 1868 'Condor' 5c. 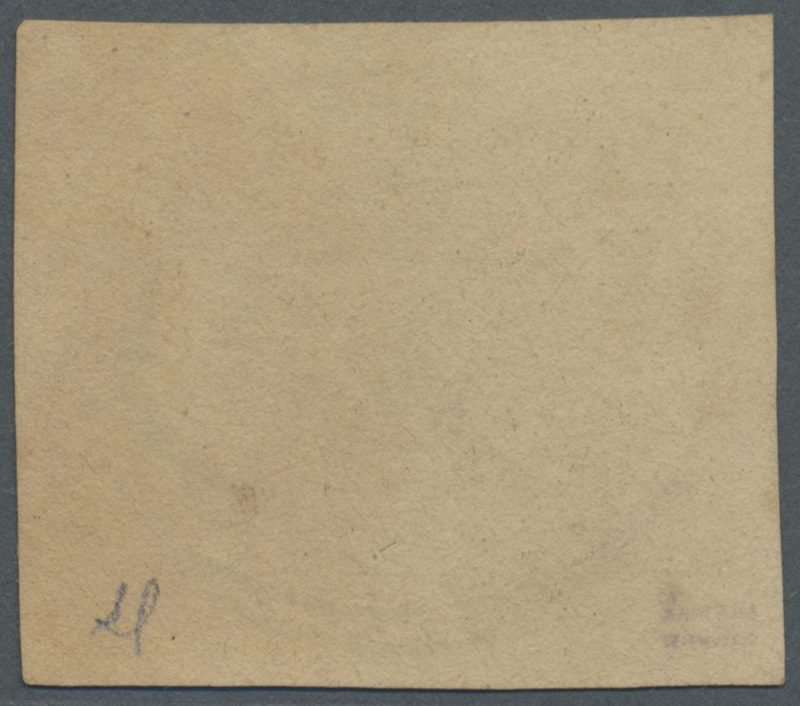 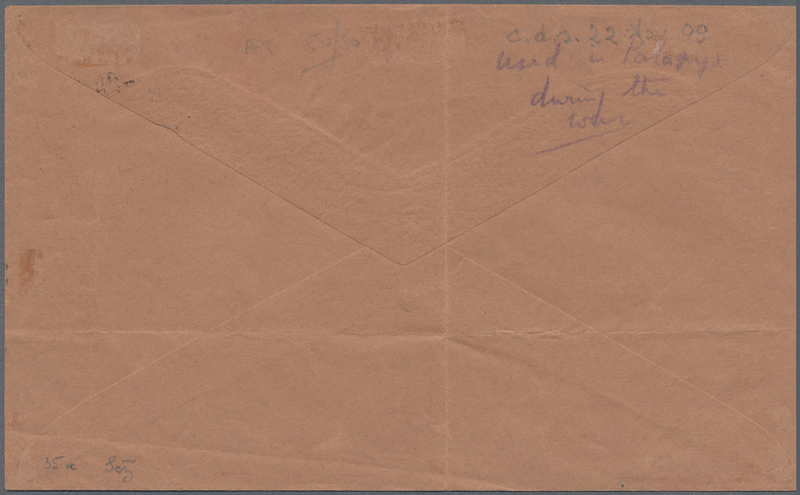 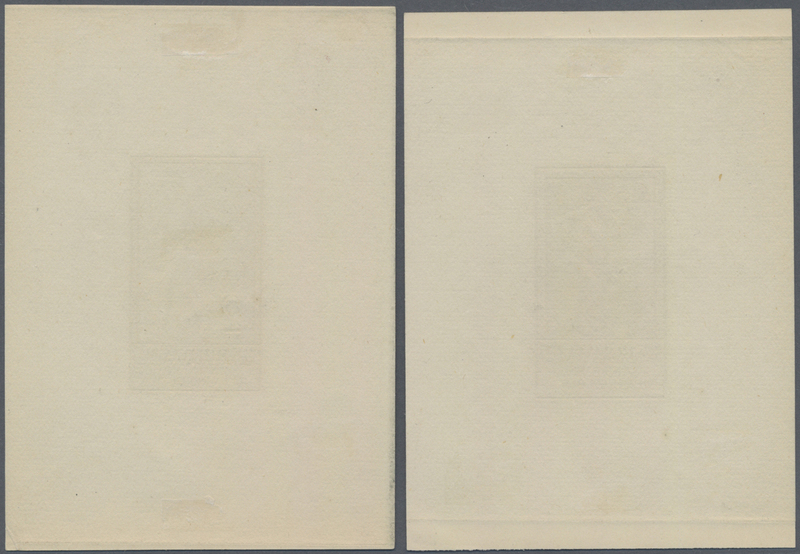 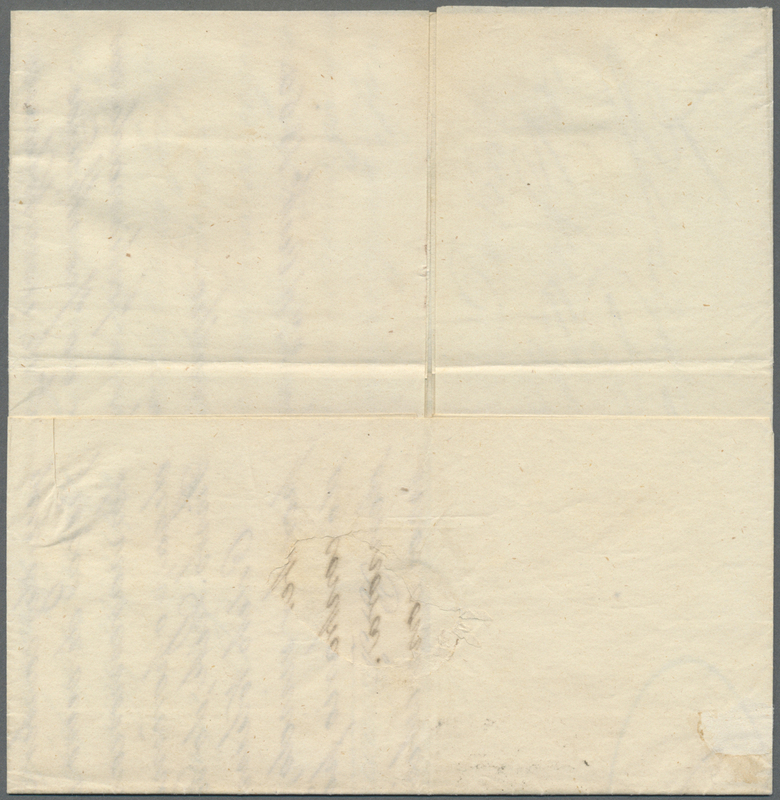 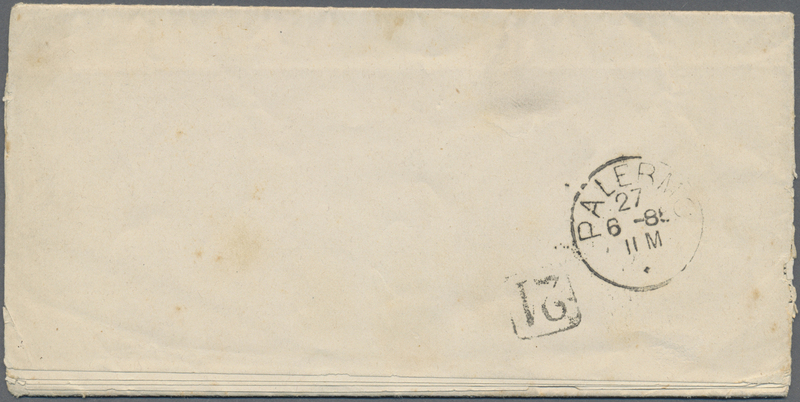 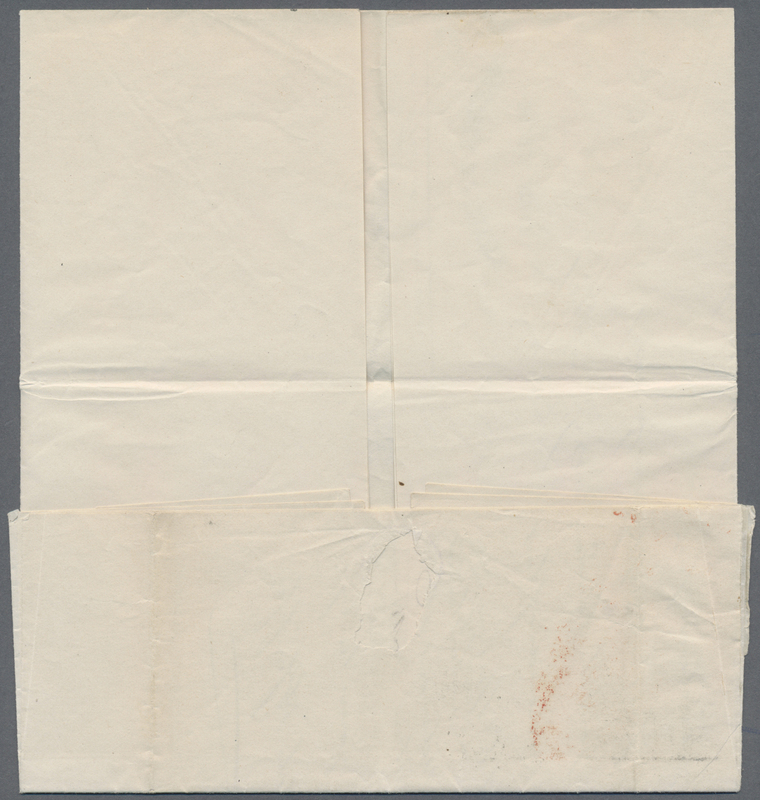 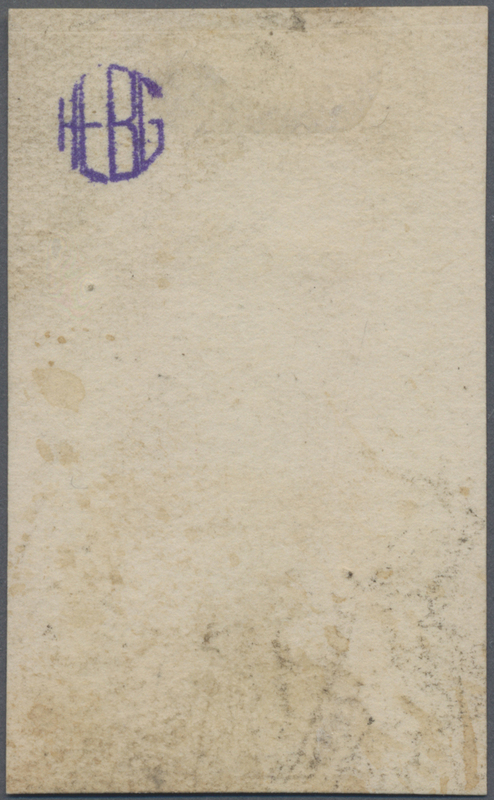 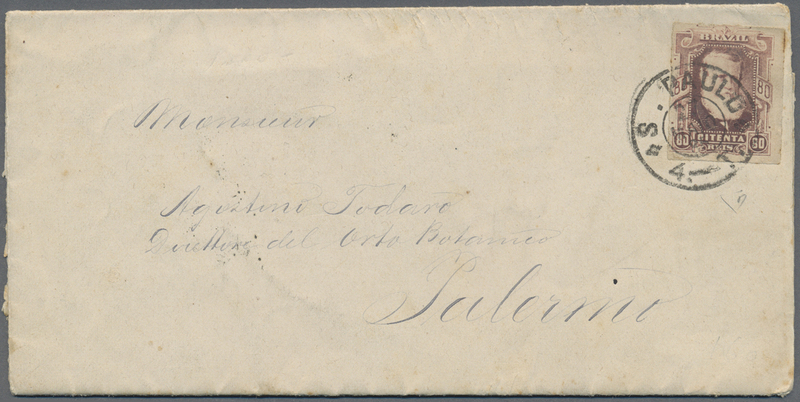 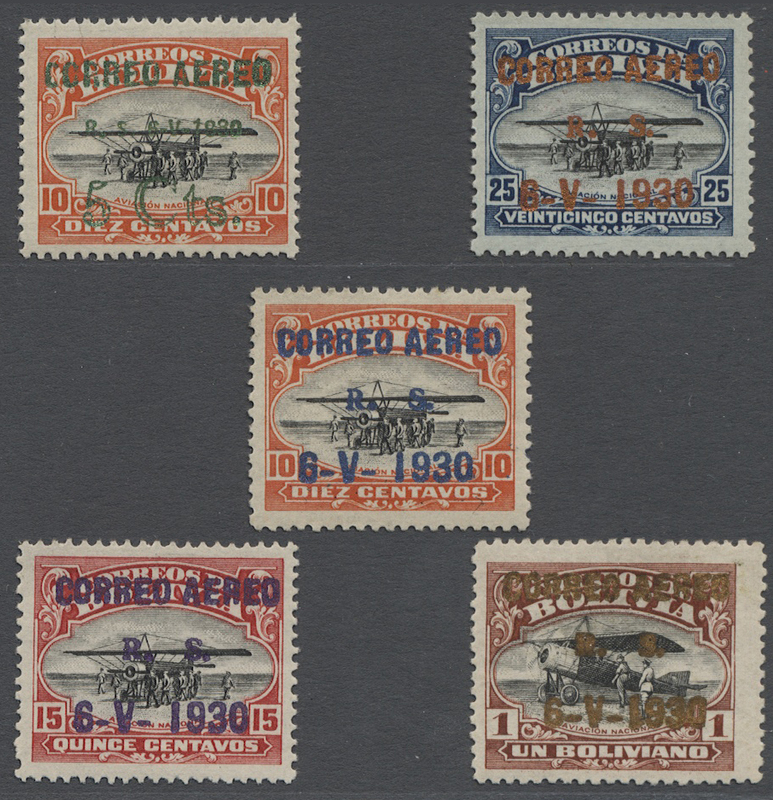 violet on part (half) cover from Corocoro to Cochambamba, dated 31. 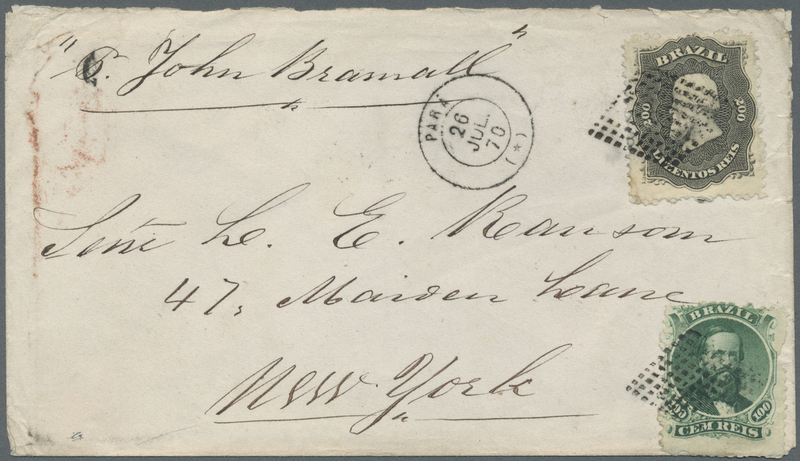 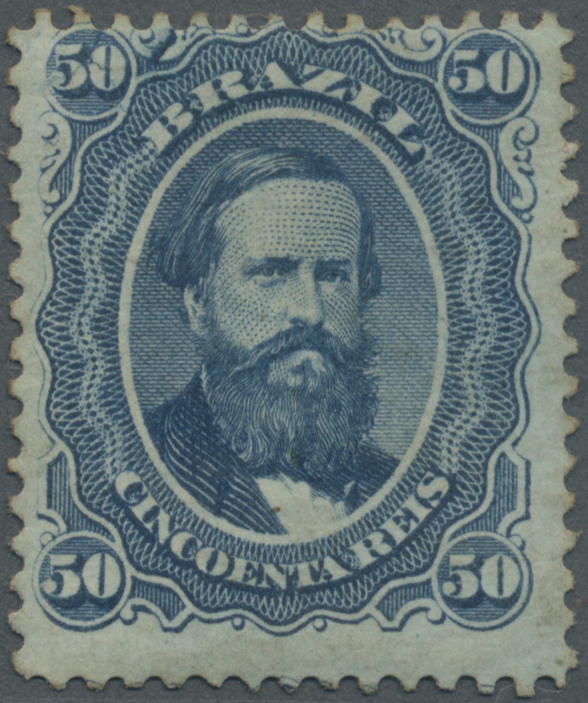 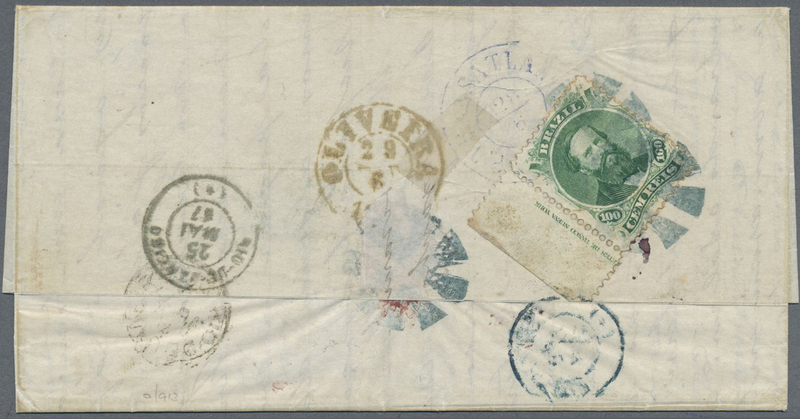 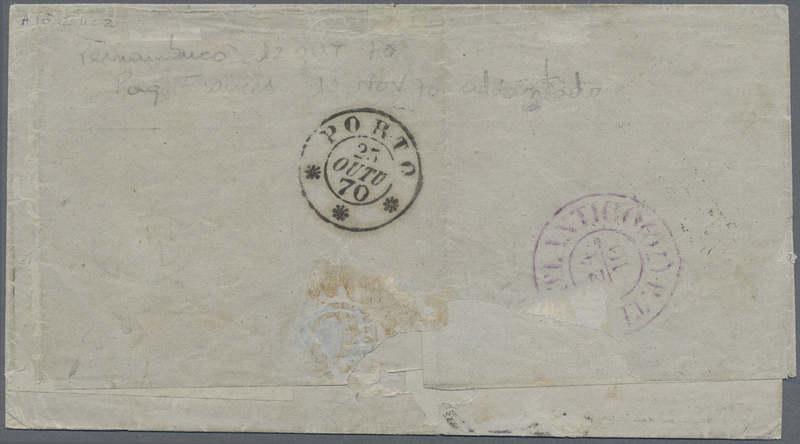 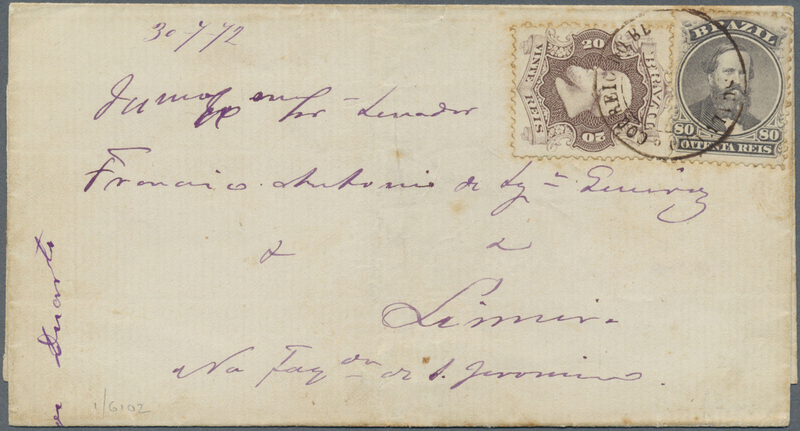 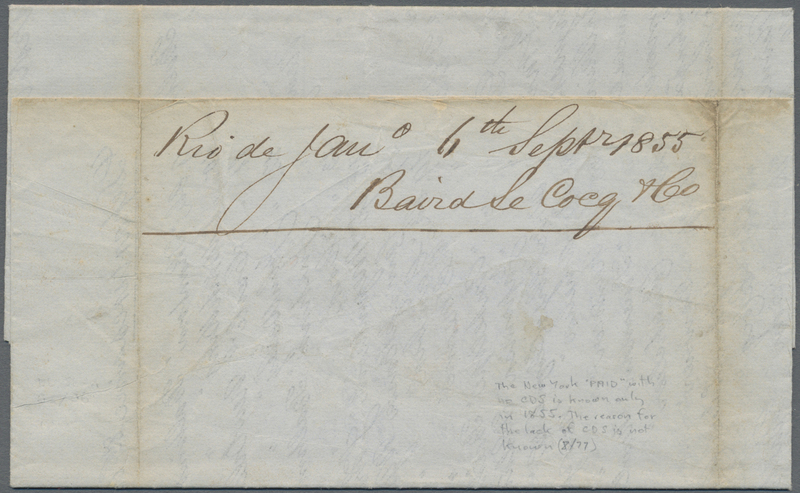 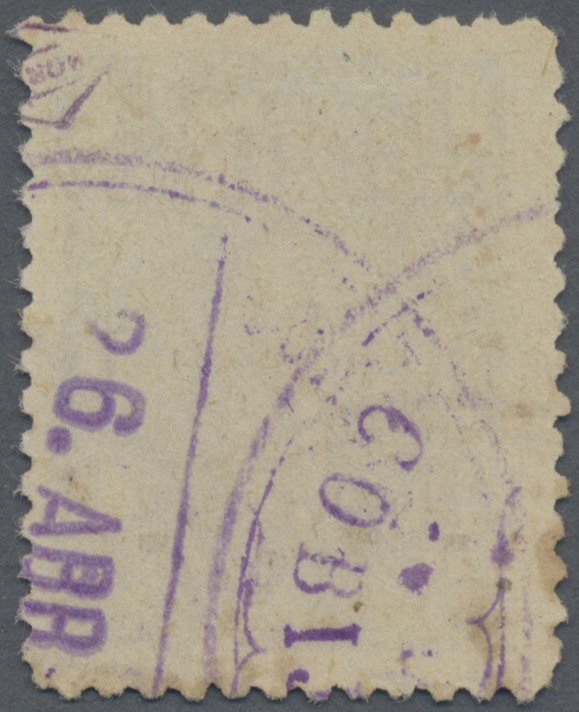 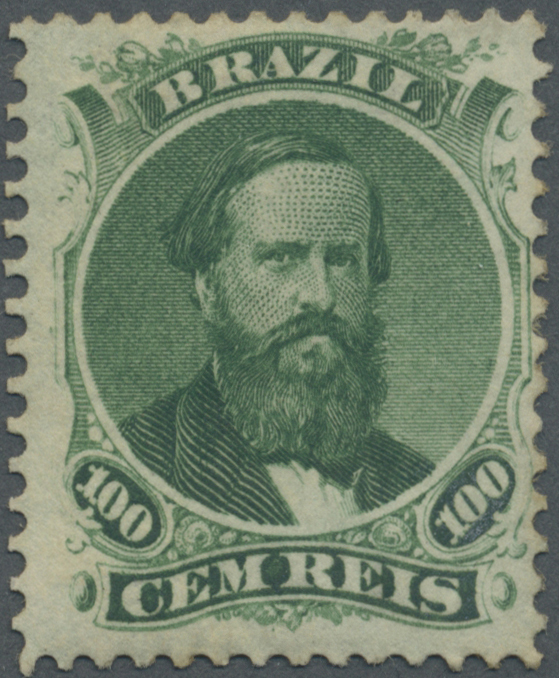 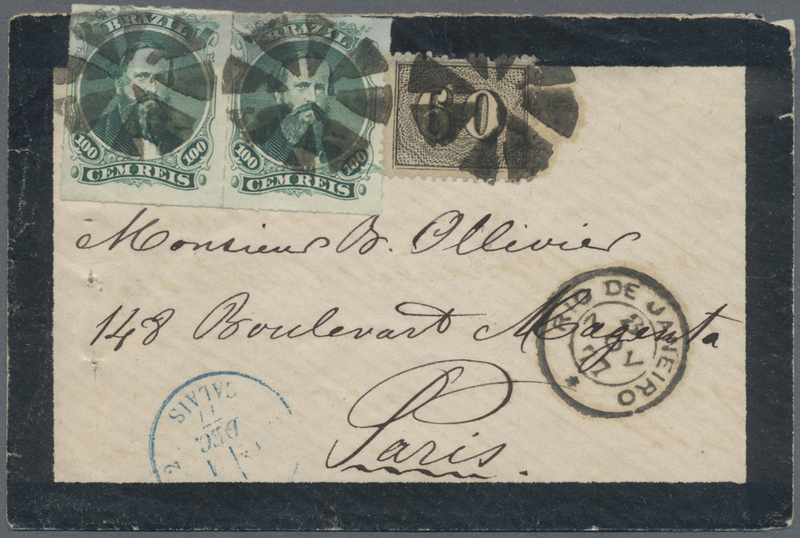 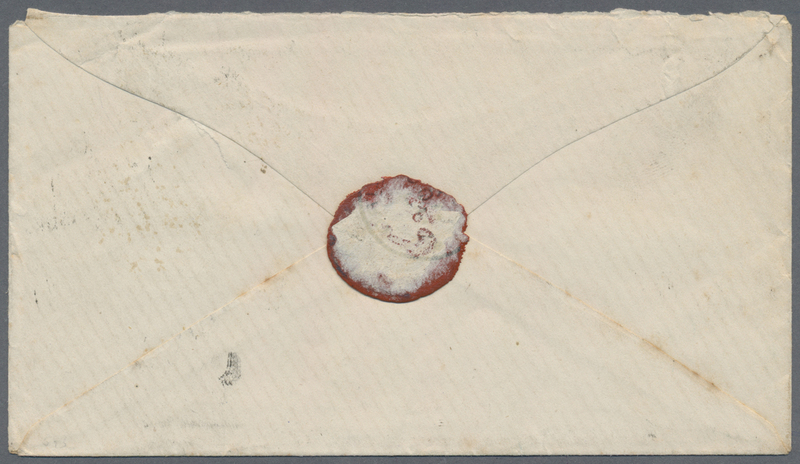 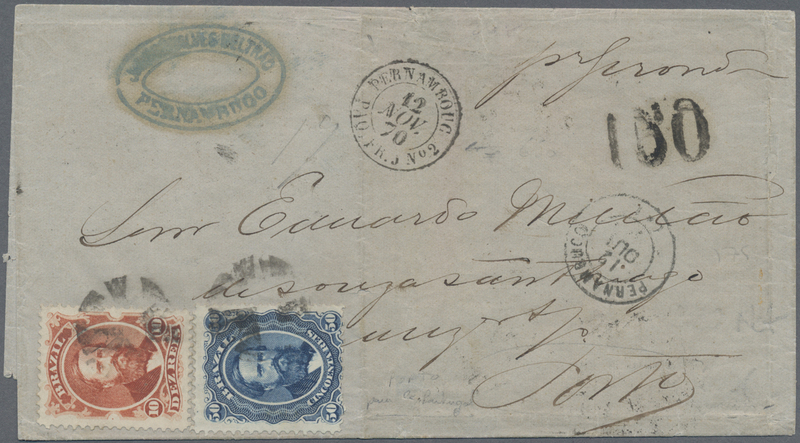 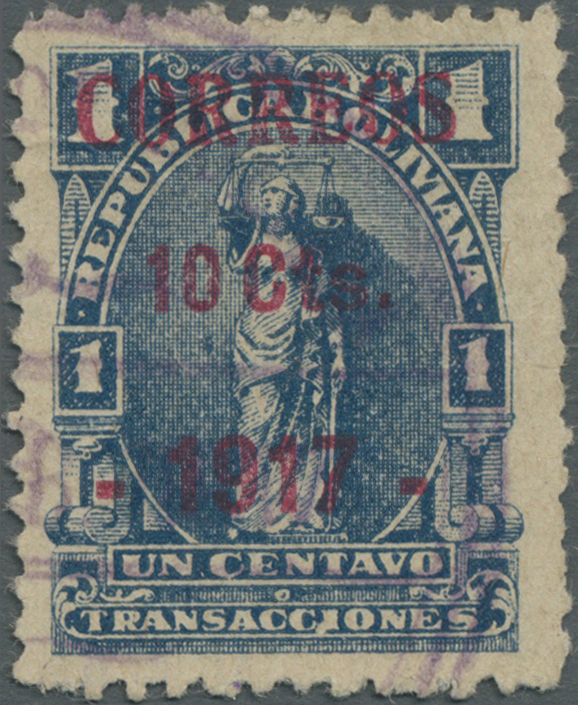 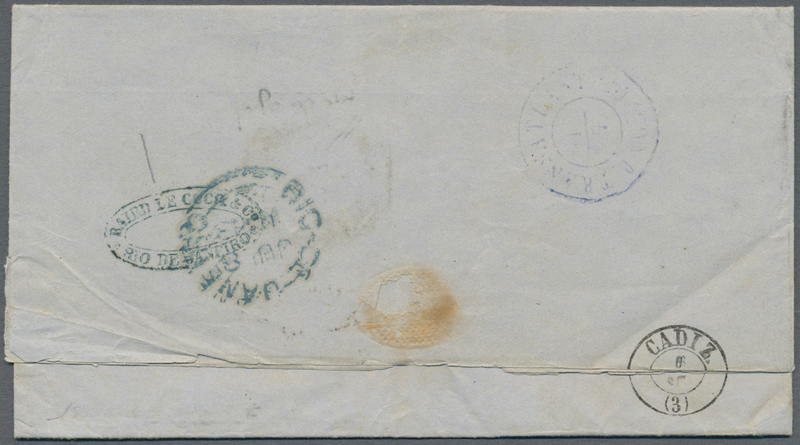 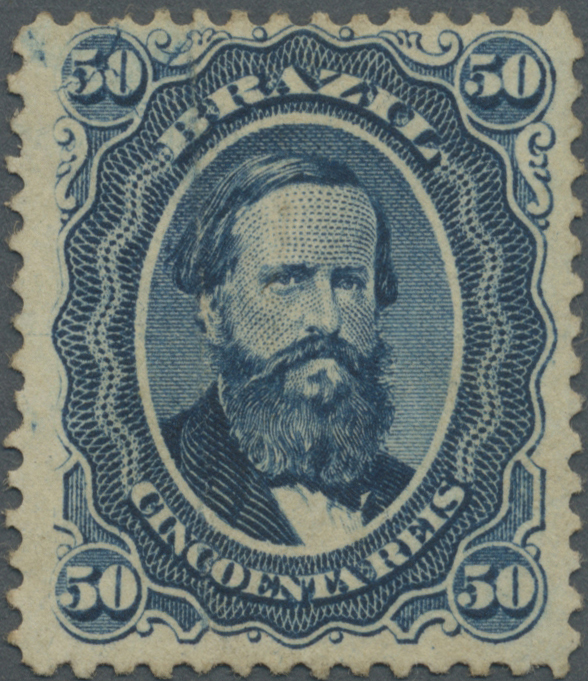 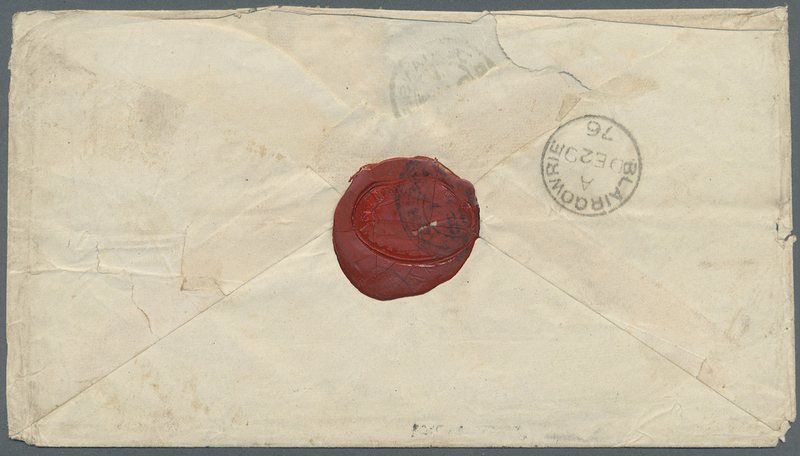 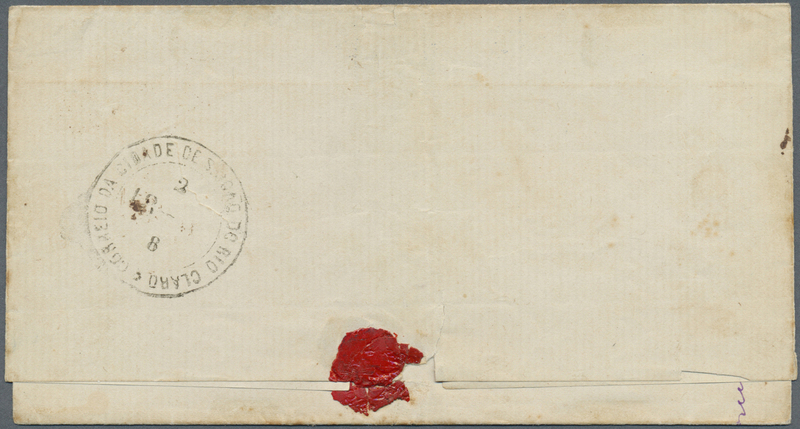 Dec. 1868 and stamp tied by circled "COROCORO" h/s in blue. 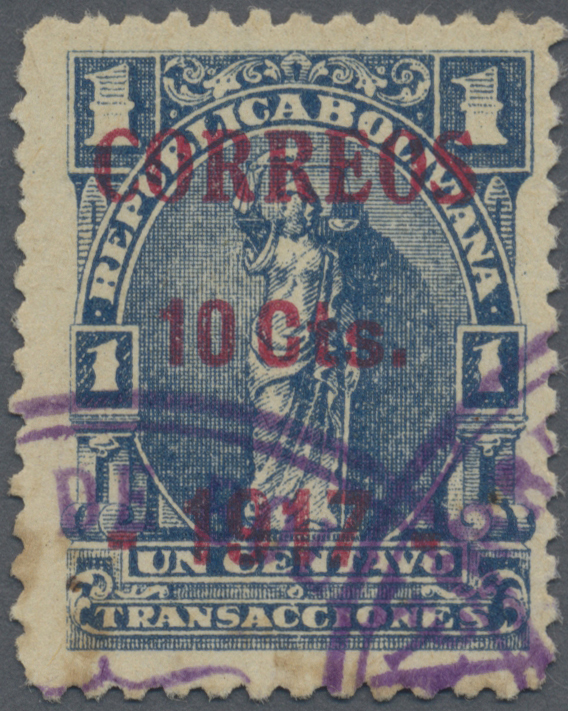 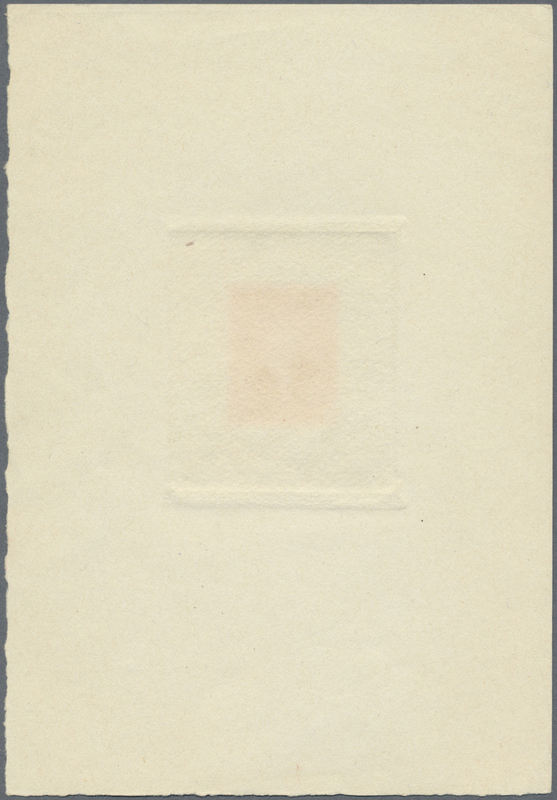 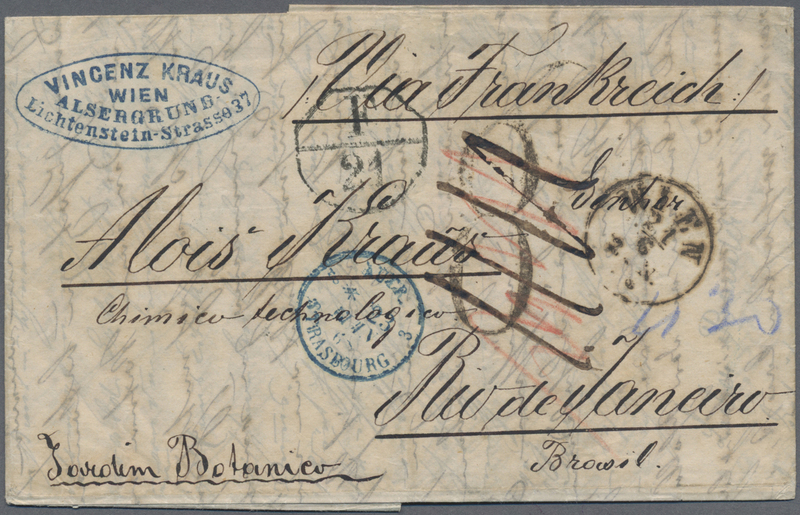 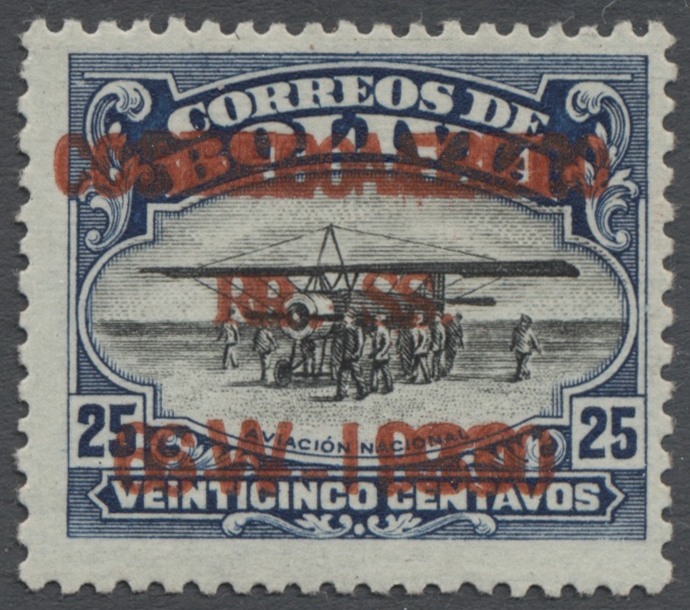 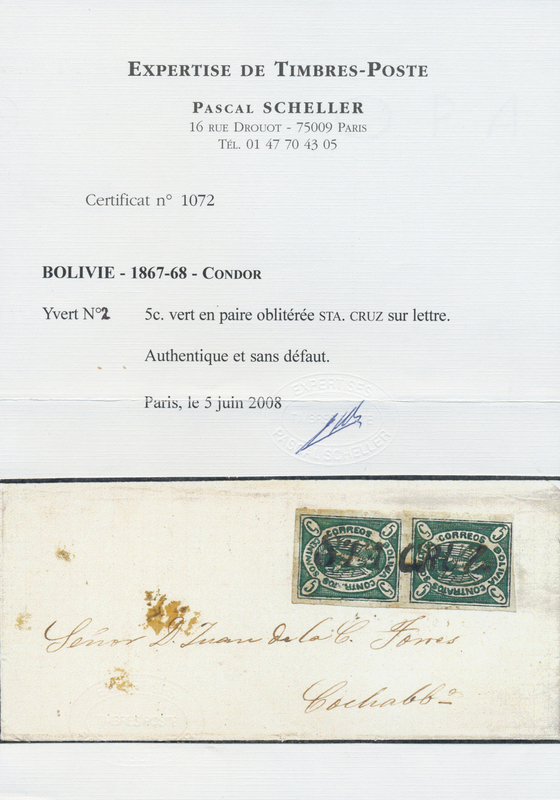 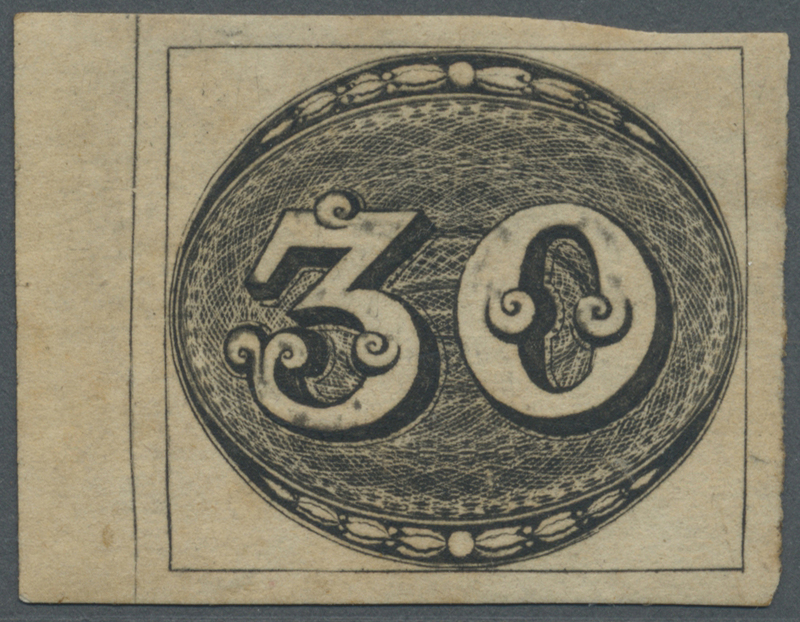 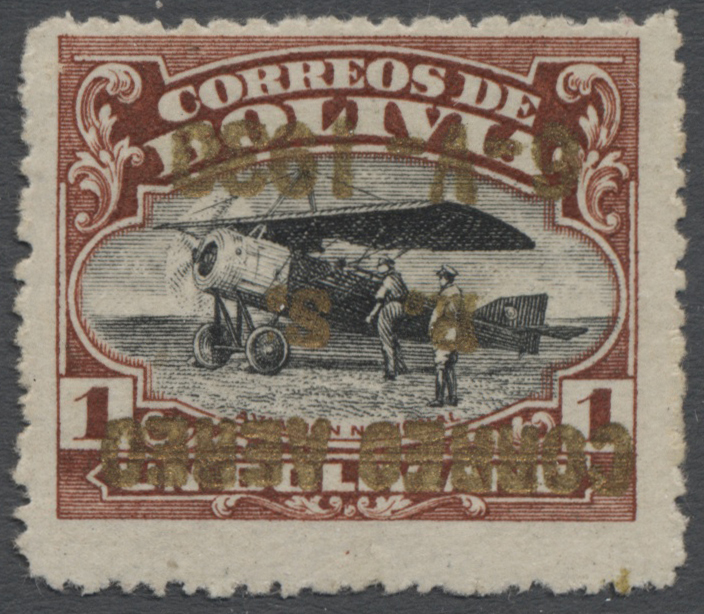 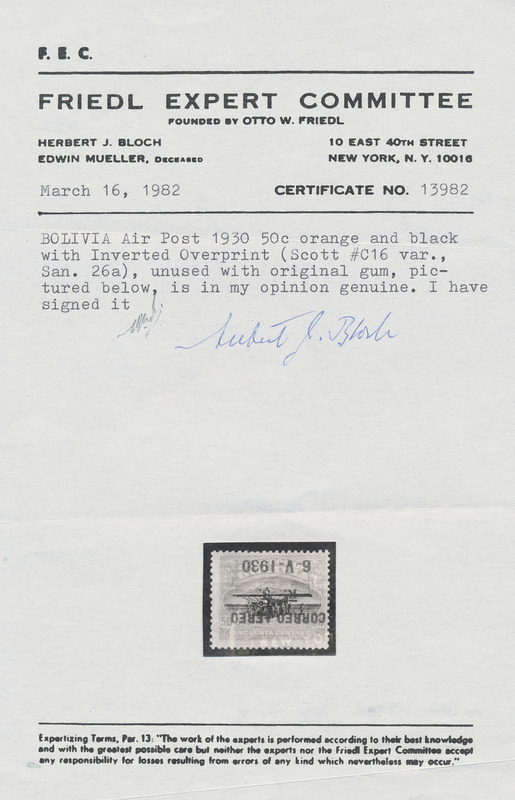 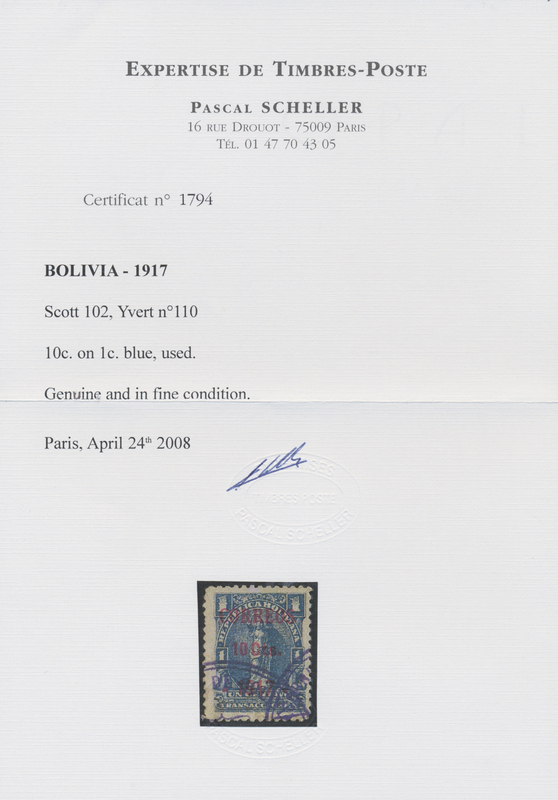 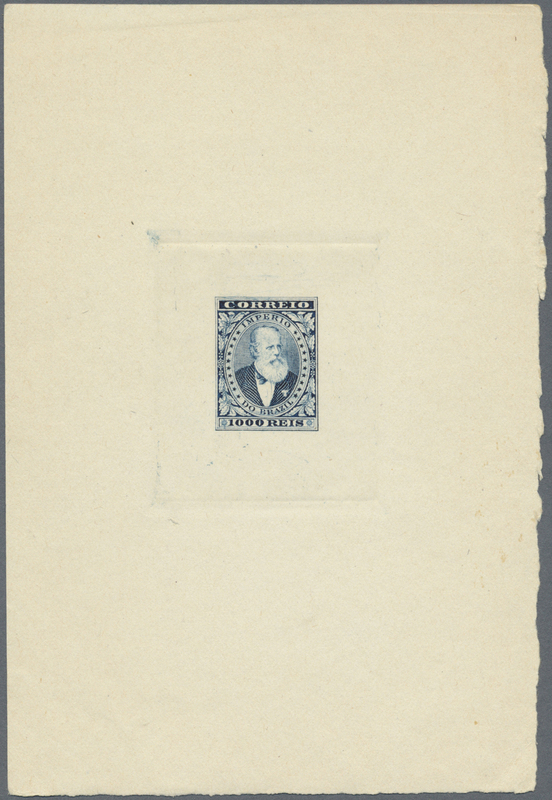 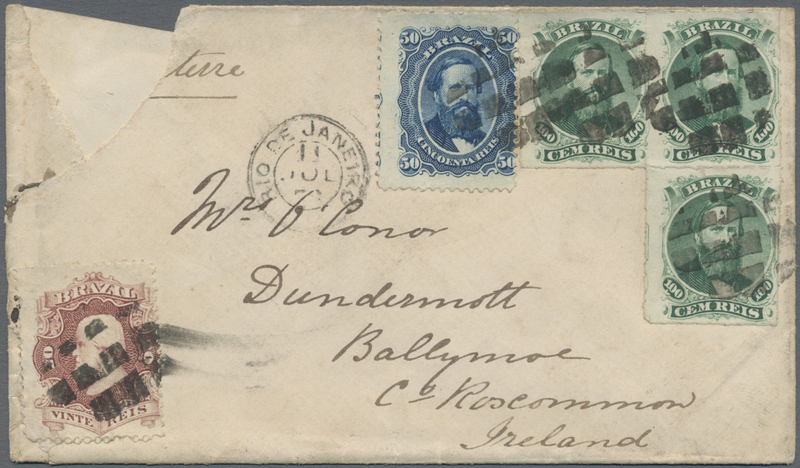 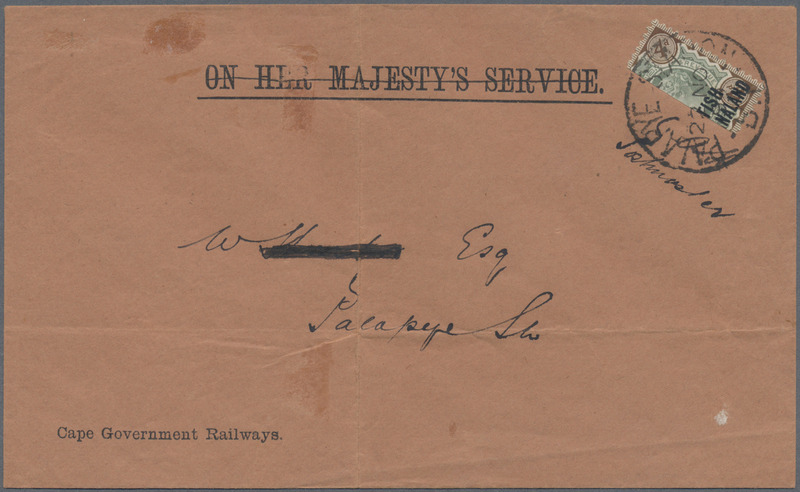 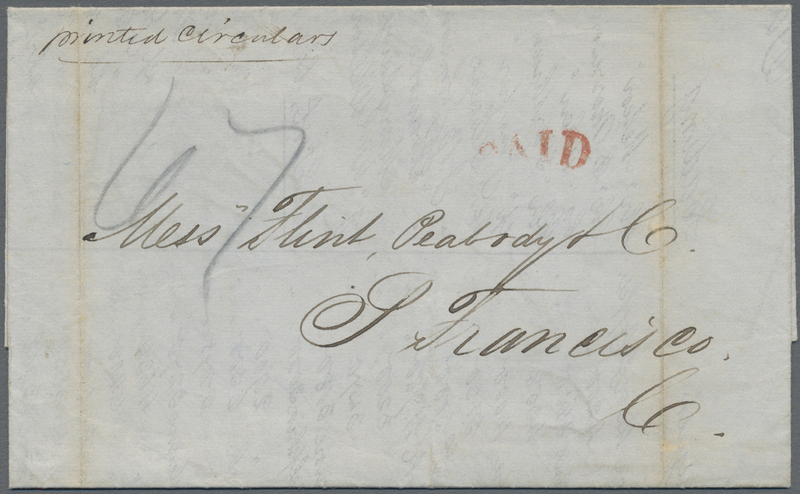 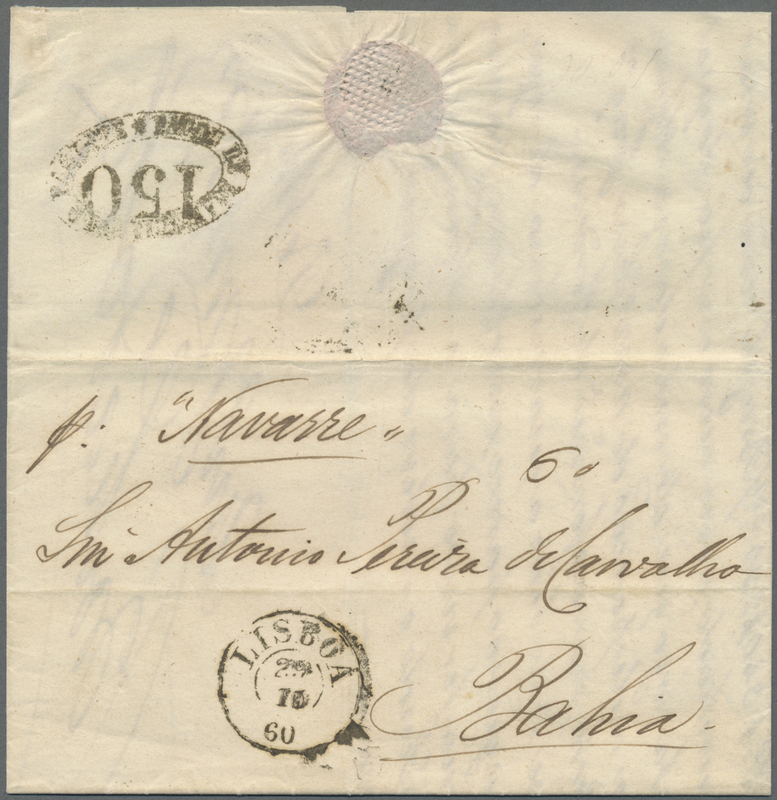 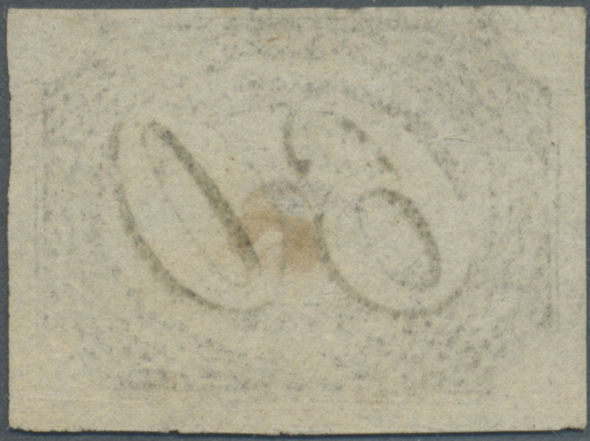 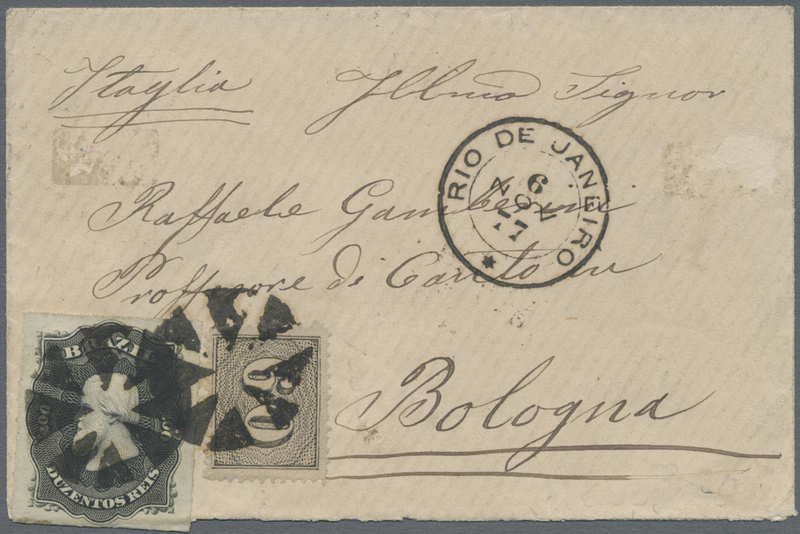 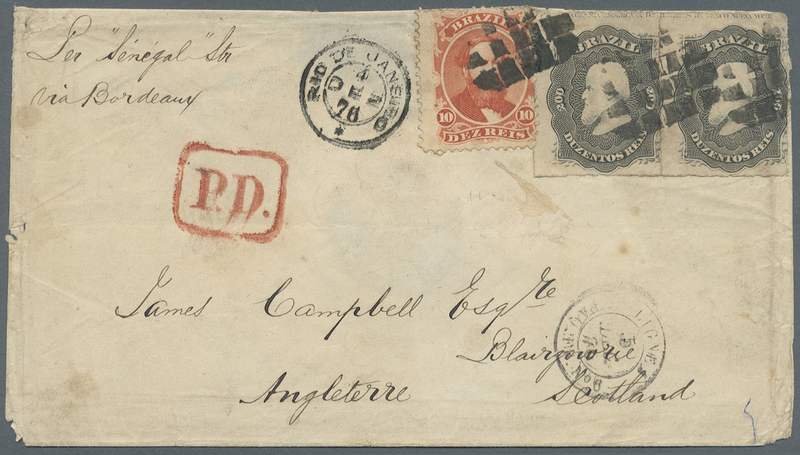 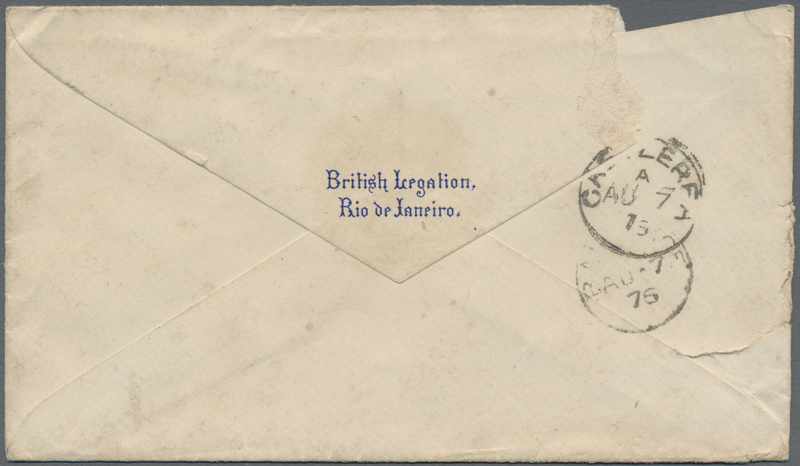 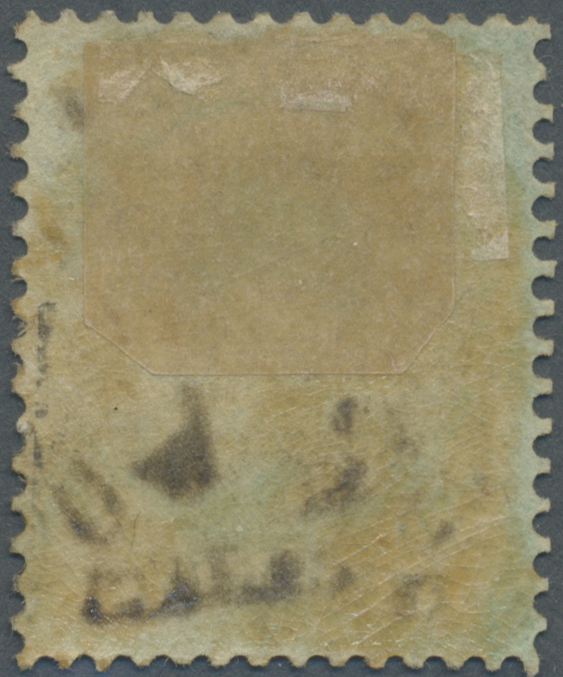 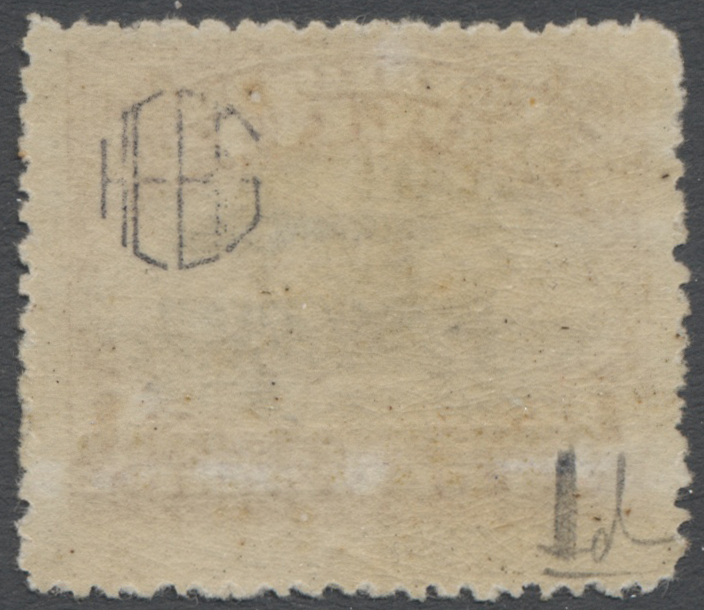 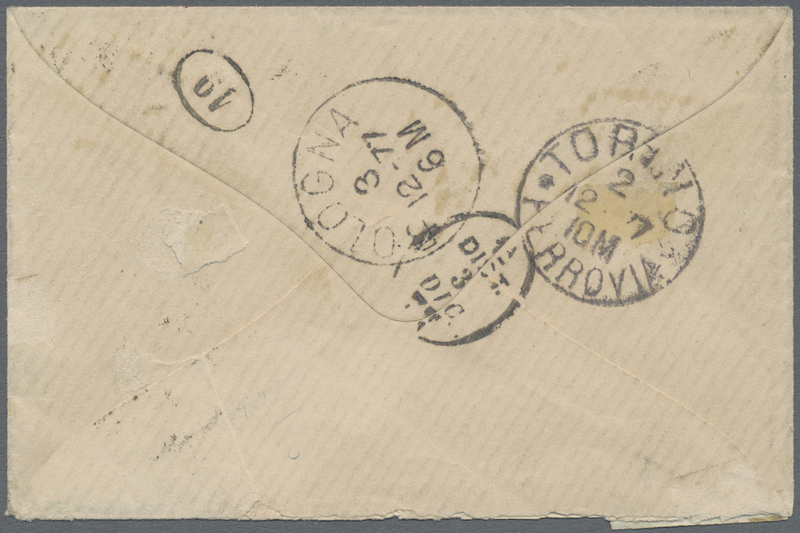 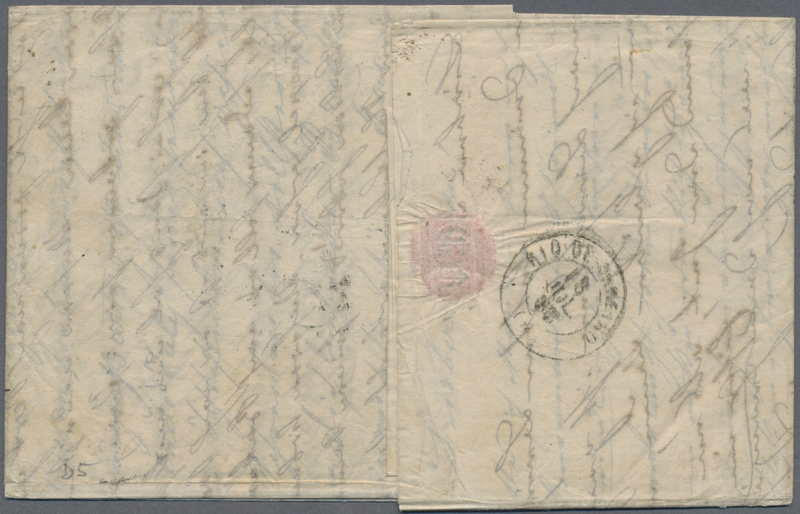 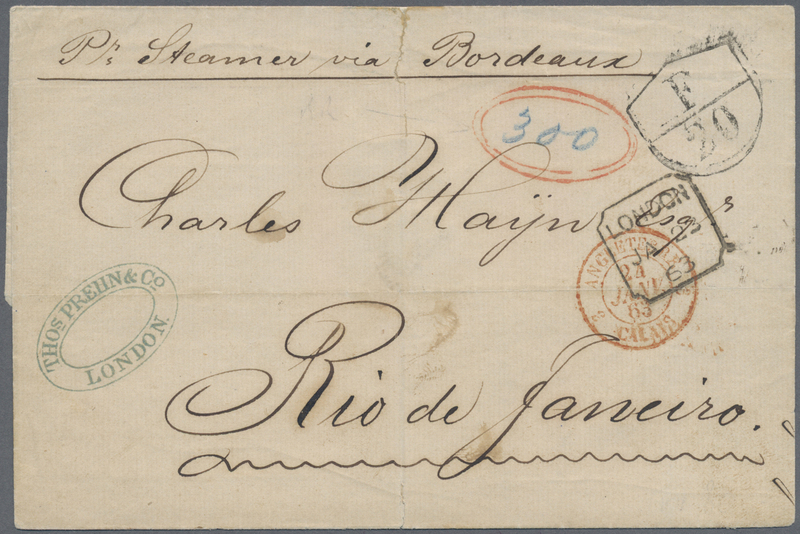 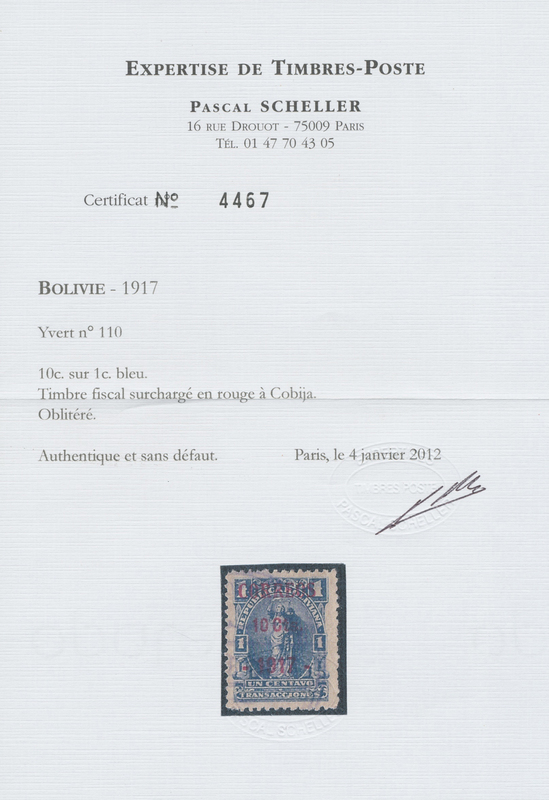 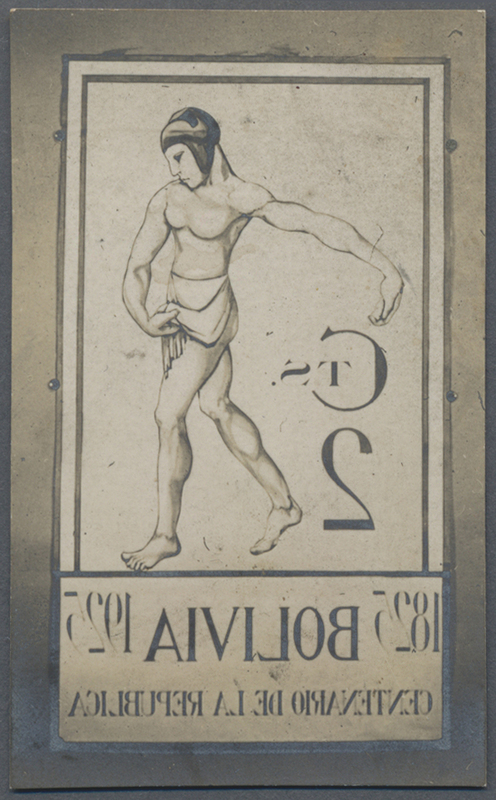 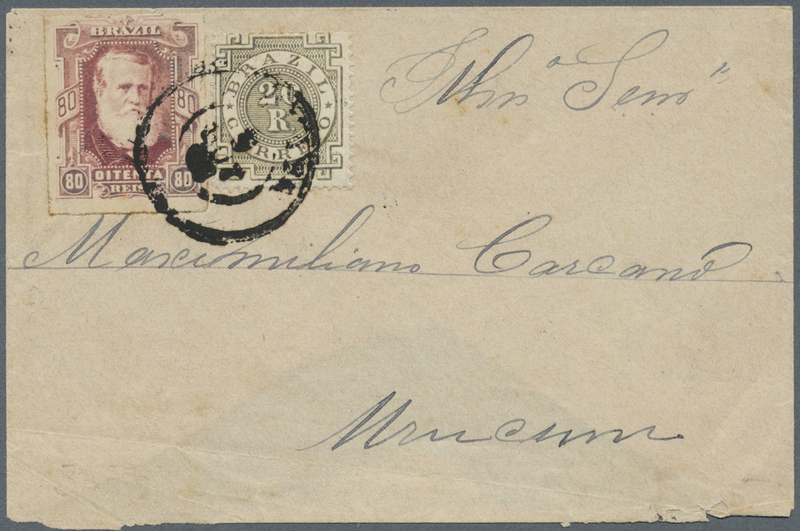 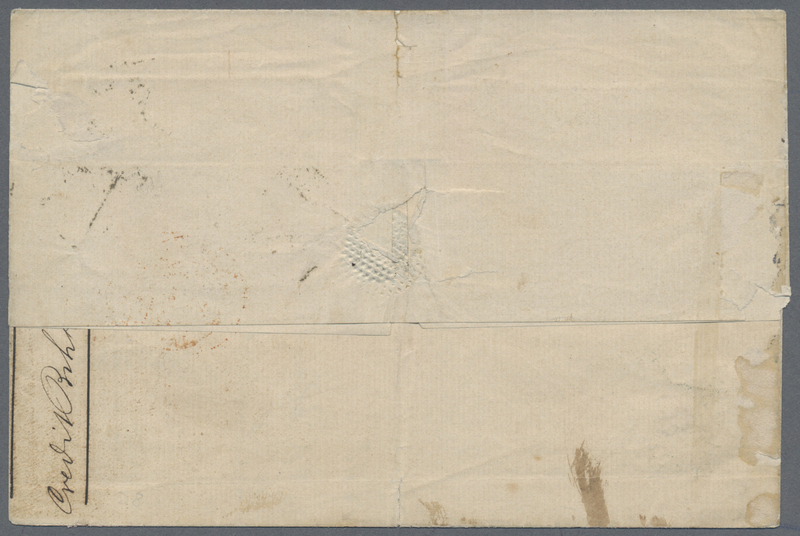 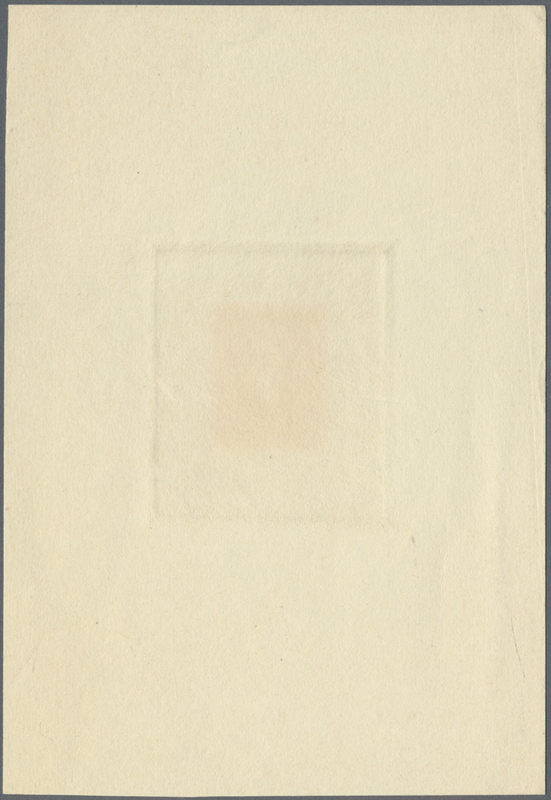 A fine stamp with complete margins all round, on a cover fragment from the high copper mine Corocoro. 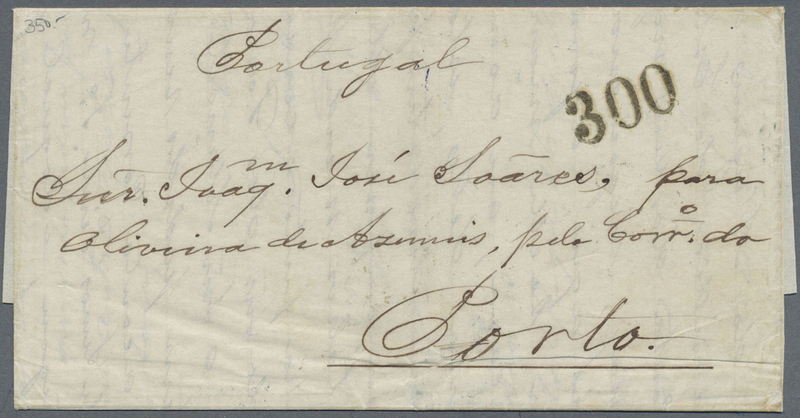 A VERY SCARCE USAGE OF THE 5c. 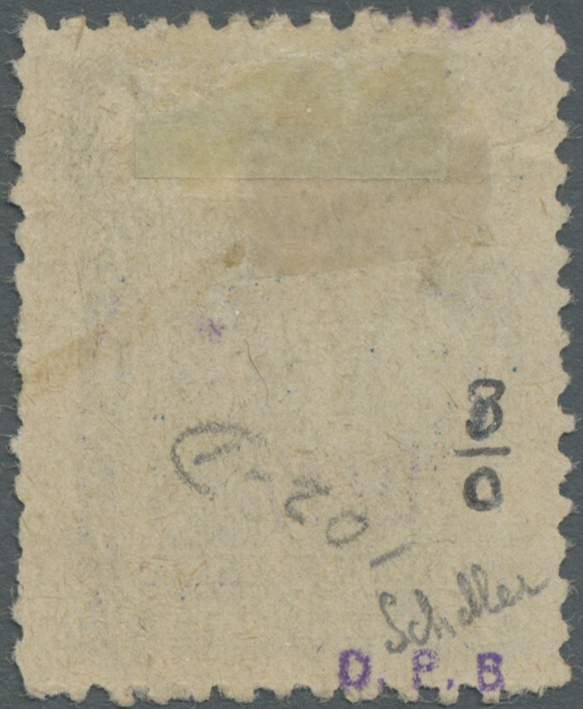 VIOLET. 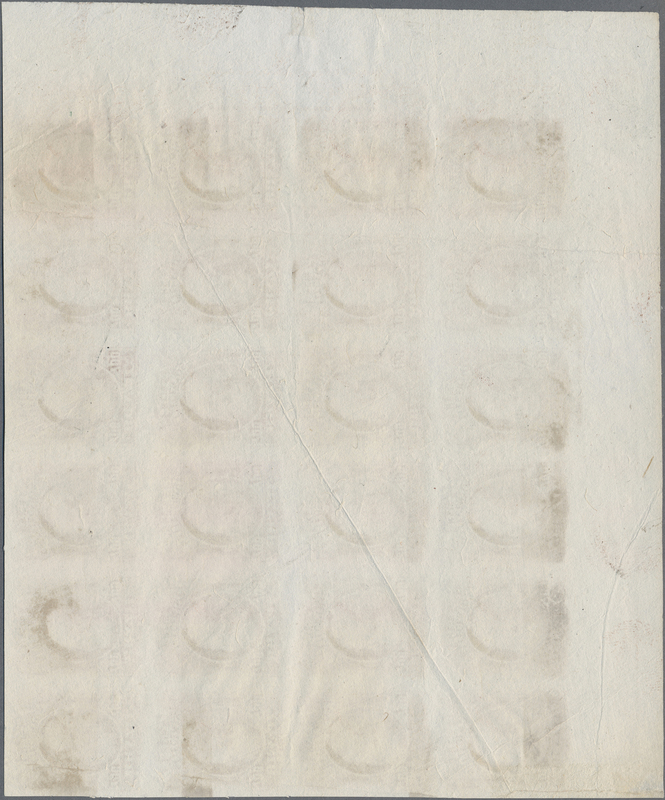 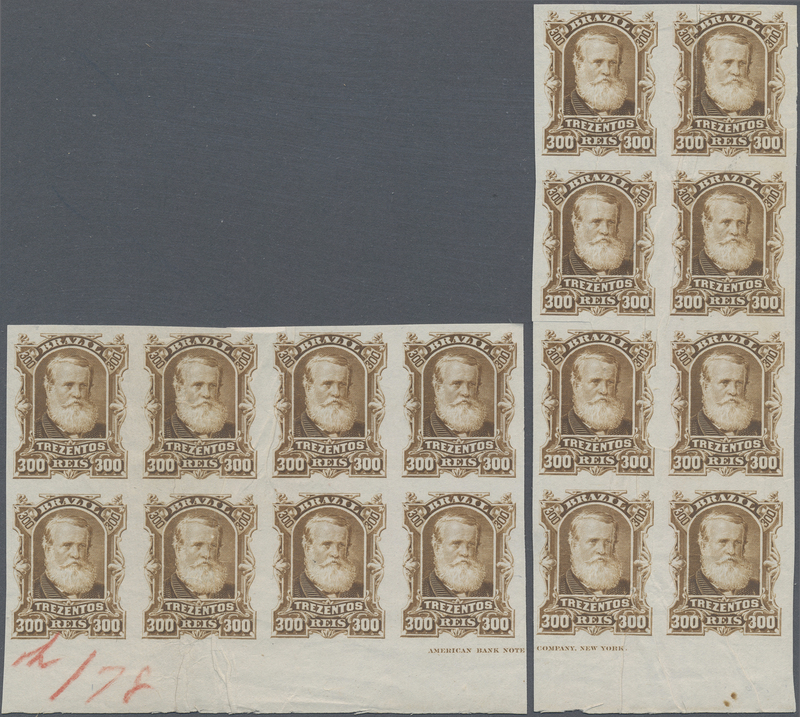 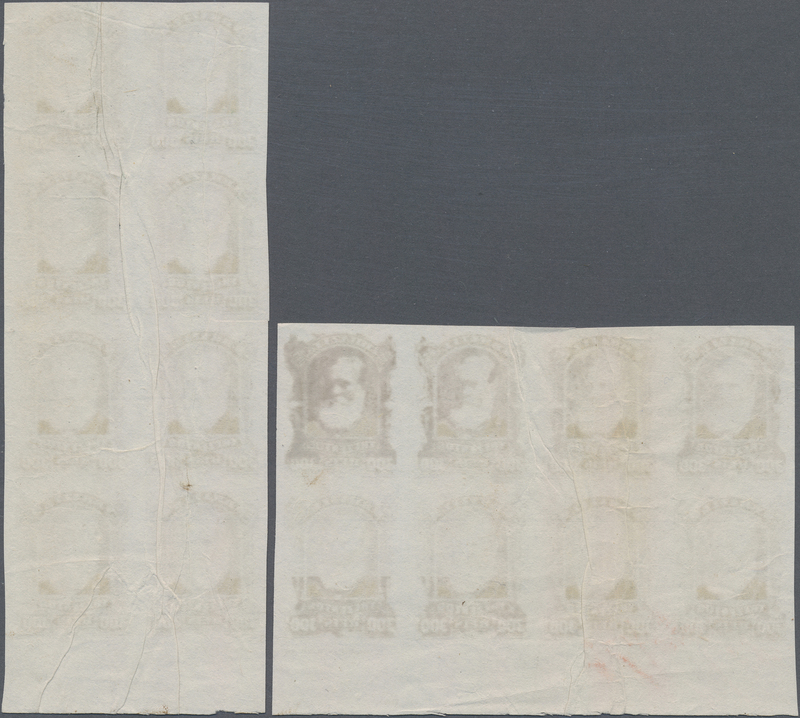 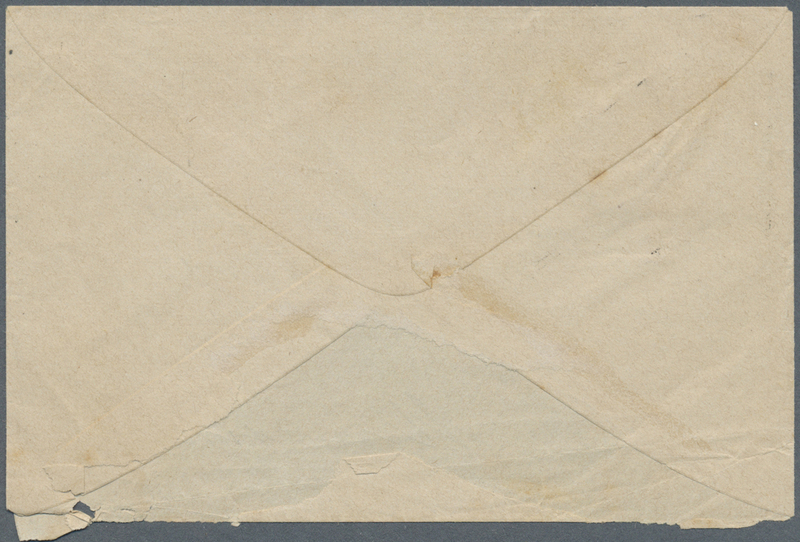 11606 ungebraucht ohne Gummi (unused without gum) (*) Sc 75 var, Meyer 44S 1878-79, 300 r. bister two imperf blocks of eight on white wove paper, bottom wide corner margins, complete imprint "American Bank Note Company, New York", two vertical crease at right and left, very fine and fresh intensive color, a classic rarity and showpiece! 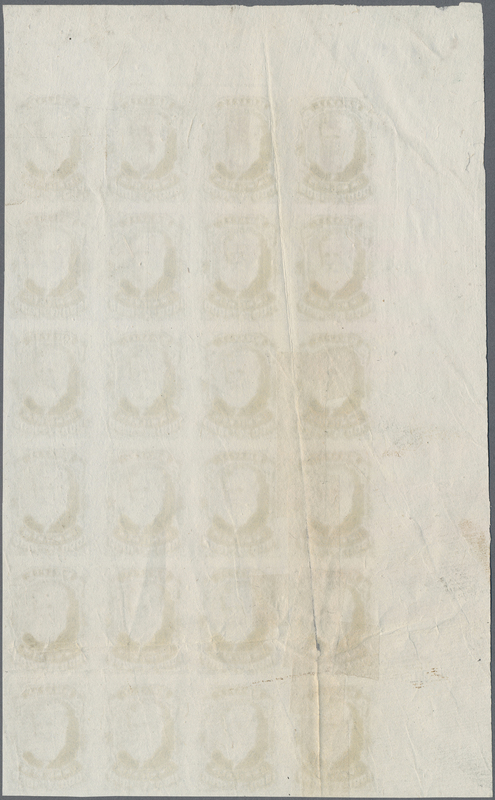 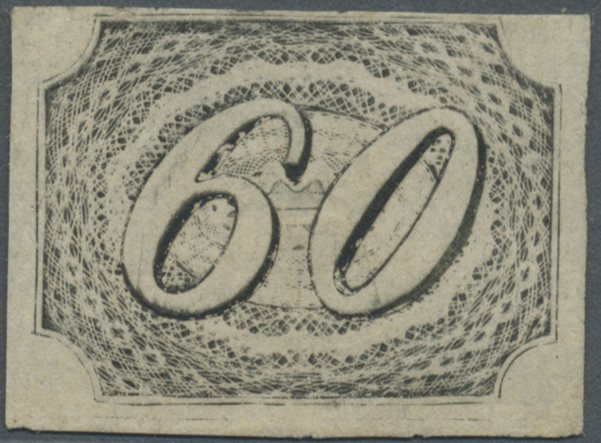 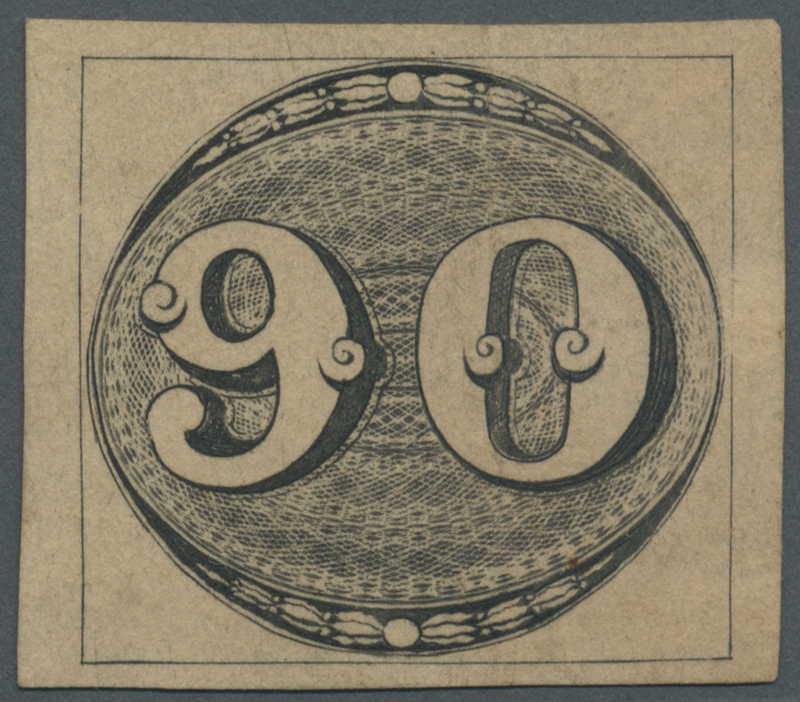 11607 ungebraucht ohne Gummi (unused without gum) (*) Sc 75 var, Meyer 44S 1878-79, 300 r. bister imperf block of eight on white wove paper, left top wide corner margins, complete imprint "American Bank Note Company, New York", two tiny crease at top and bottom, fine and fresh intensive color, a classic rarity! 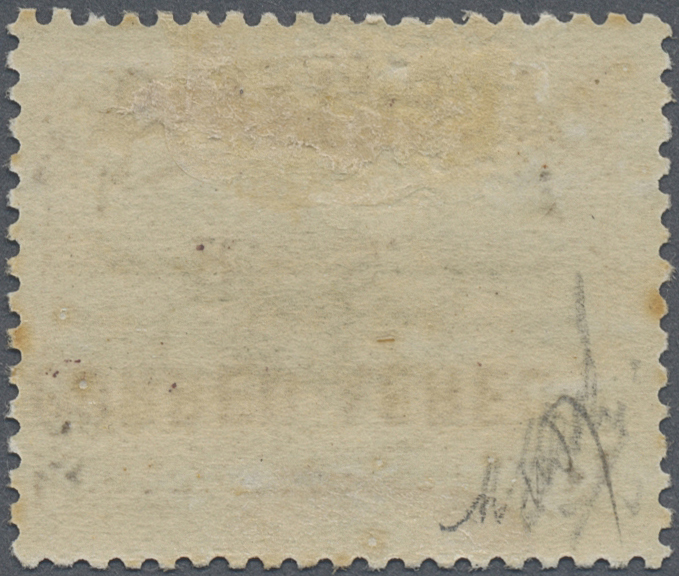 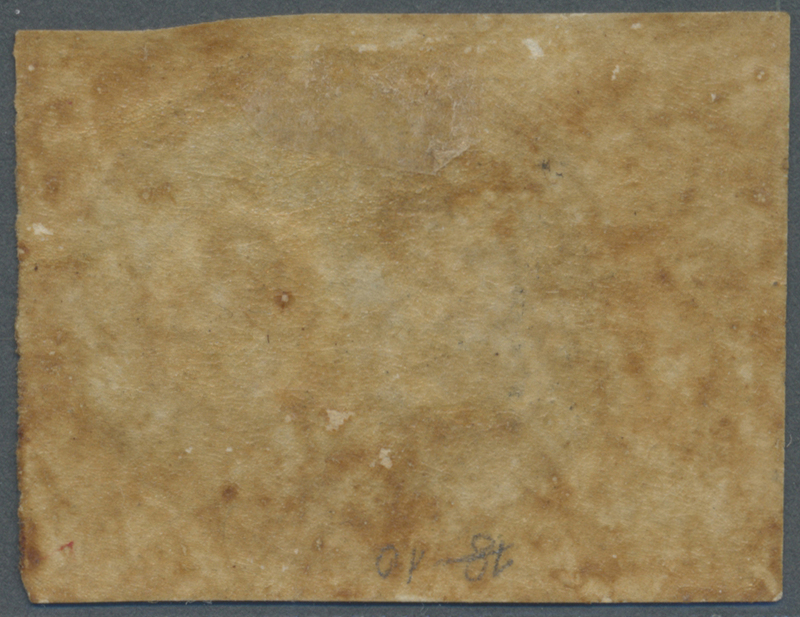 11608 ungebraucht ohne Gummi (unused without gum) (*) Sc 76 var, Meyer 45S 1878-79, 700 r. red-brown imperf block of eight on white wove paper, left corner margins, natural paper crease through left pair, very fine and fresh intensive color, a classic rarity! 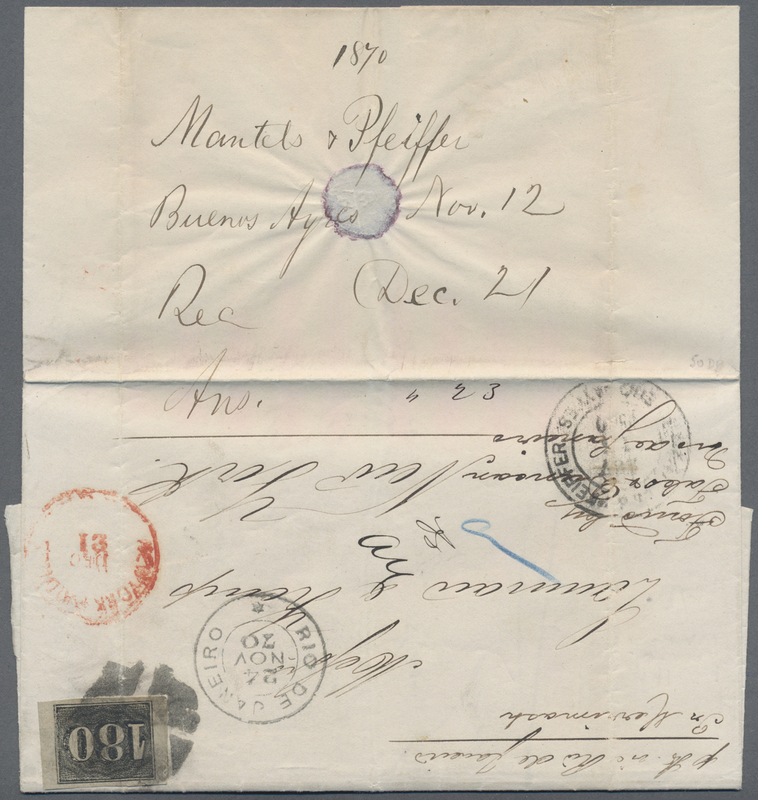 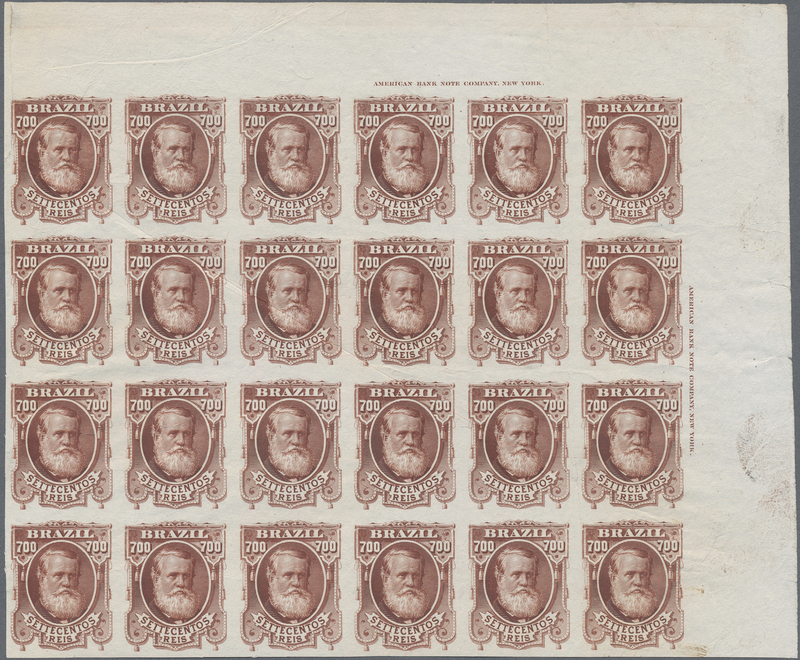 11609 ungebraucht ohne Gummi (unused without gum) (*) Sc 76 var, Meyer 45S 1878-79, 700 r. red-brown imperf block of 24 on white wove paper, top right wide corner margins, complete imprints "American Bank Note Company, New York", natural paper crease at right, very fine and fresh intensive color, a classic rarity and showpiece for an advanced collection! 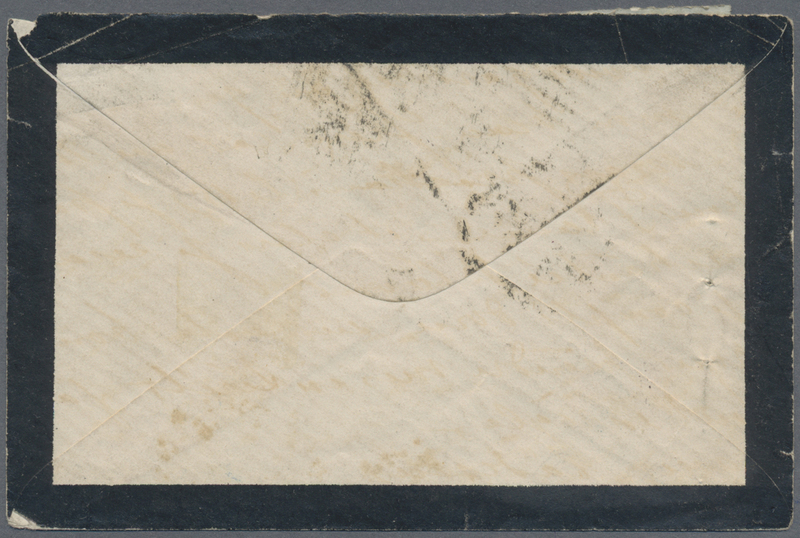 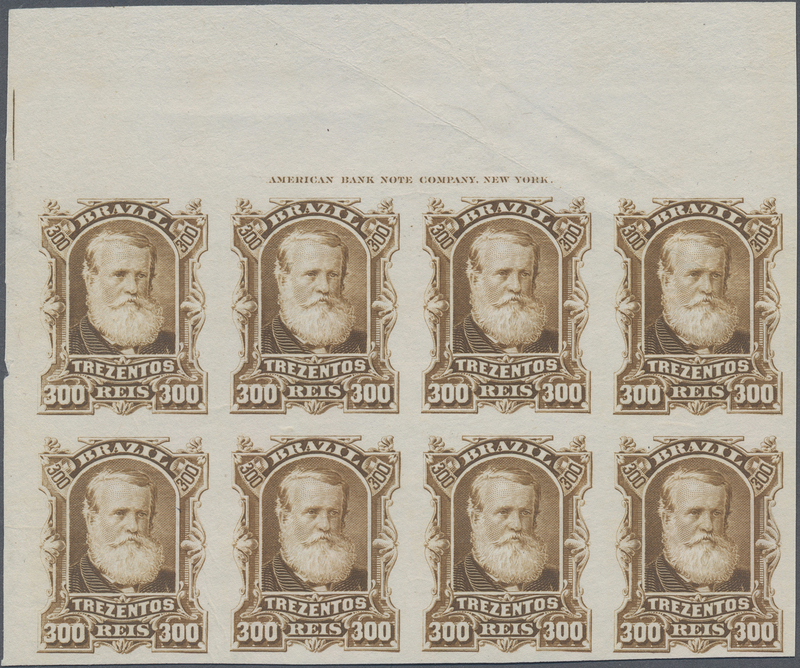 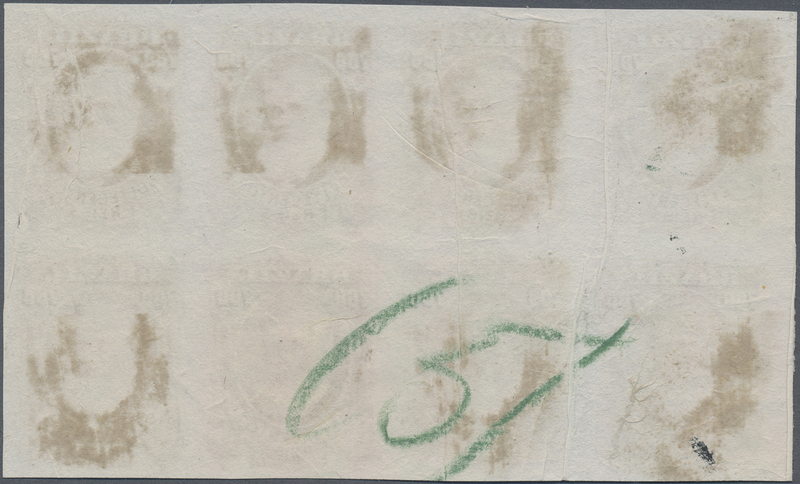 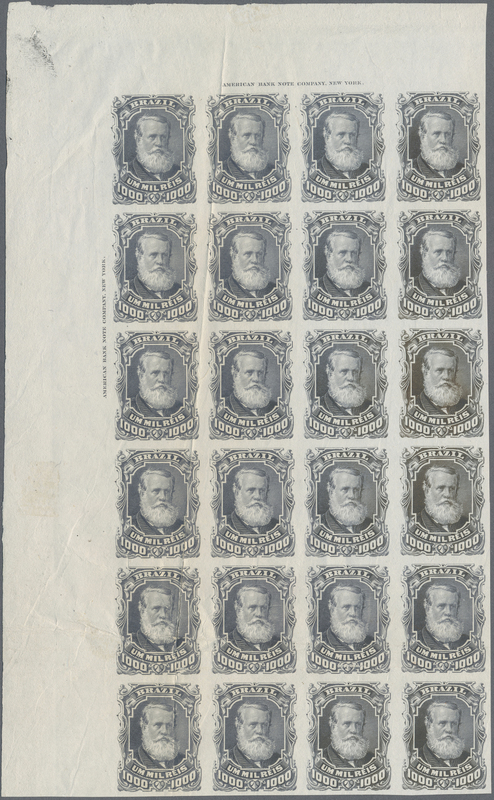 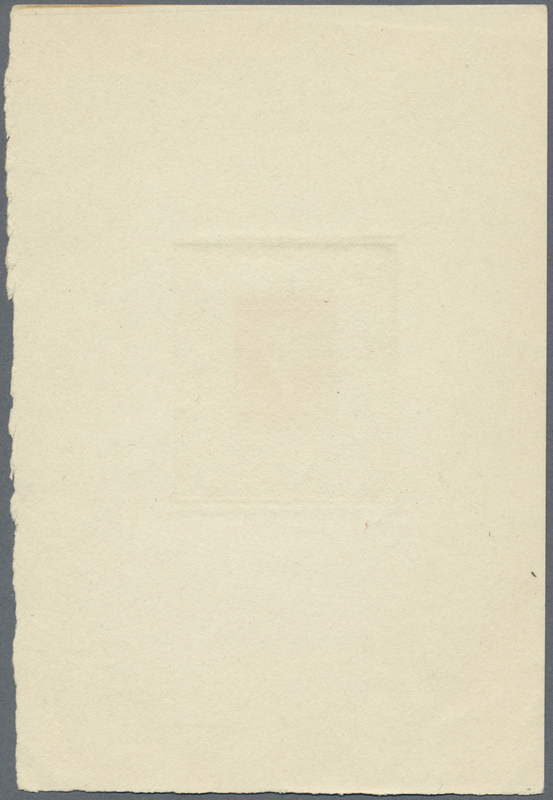 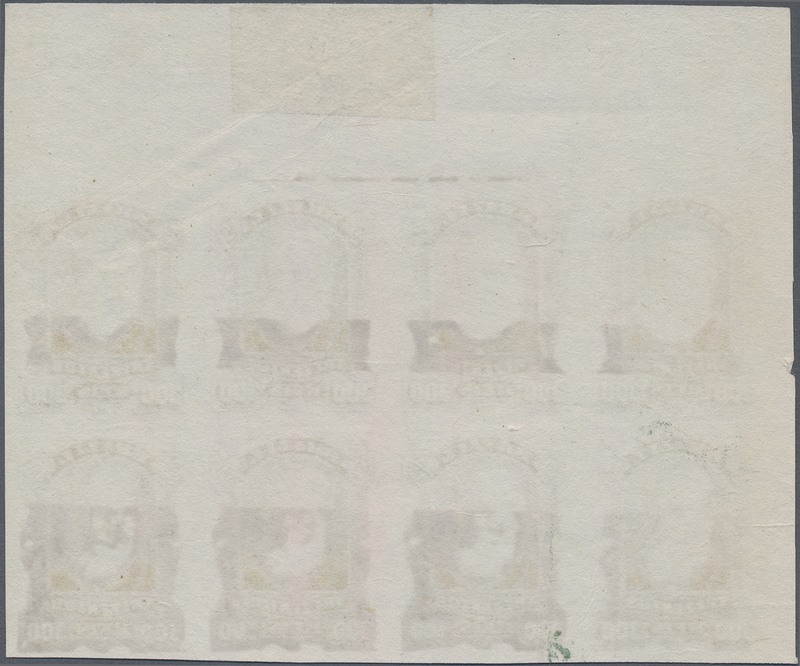 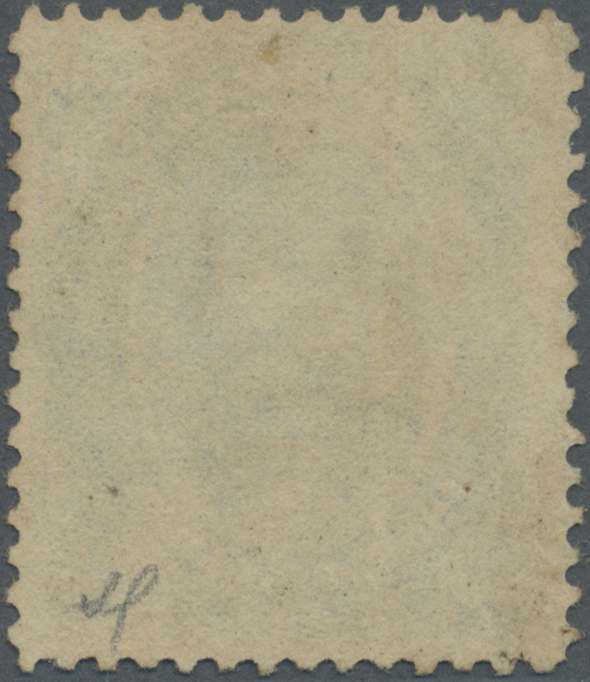 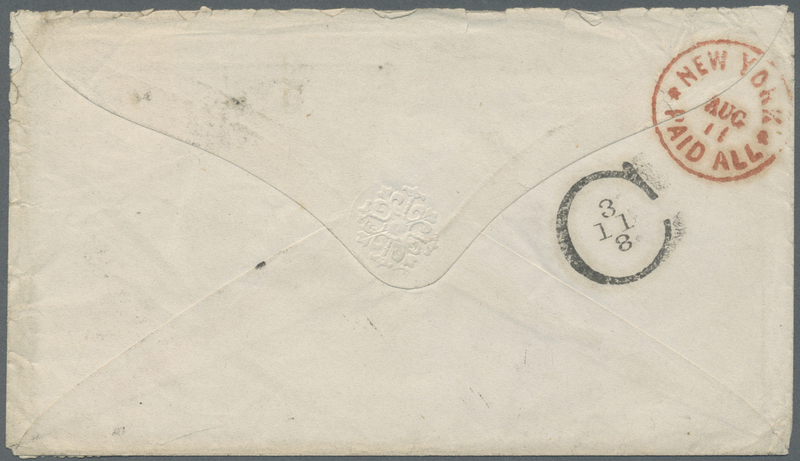 11610 ungebraucht ohne Gummi (unused without gum) (*) Sc 77 var, Meyer 46S 1878-79, 1.000 r. gray-lilac imperf block of 24 on white wove paper, top left wide corner margins, complete imprints "American Bank Note Company, New York", horizontal and vertical crease at bottom and left, very fine and fresh intensive color, a classic rarity and showpiece for an advanced collection! 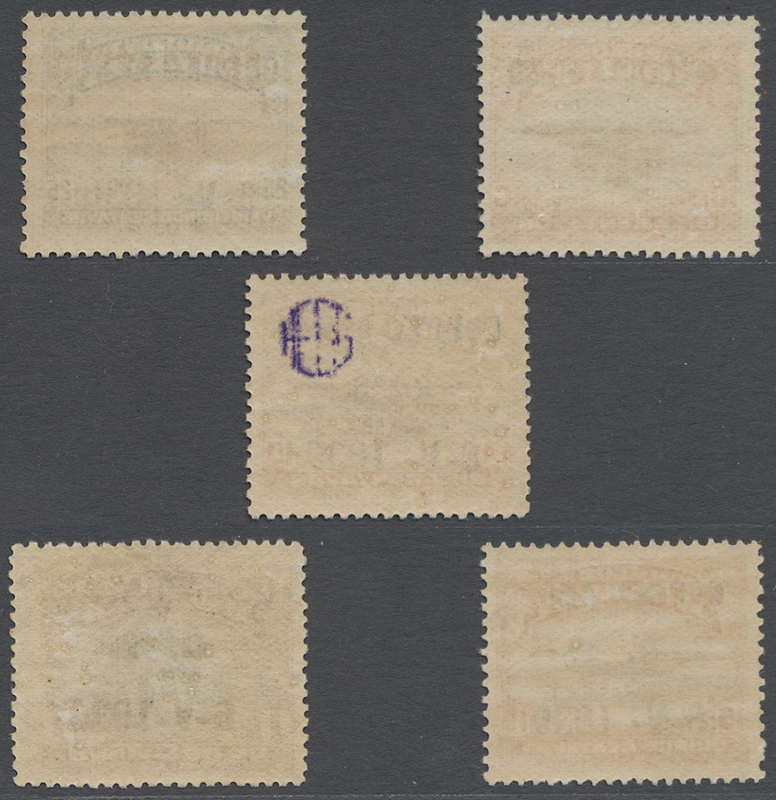 11611 ungebraucht ohne Gummi (unused without gum) (*) 1880 (ca. 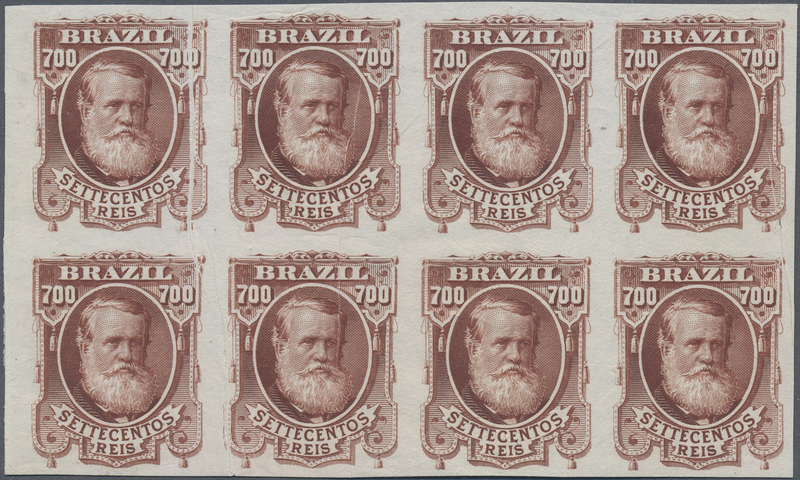 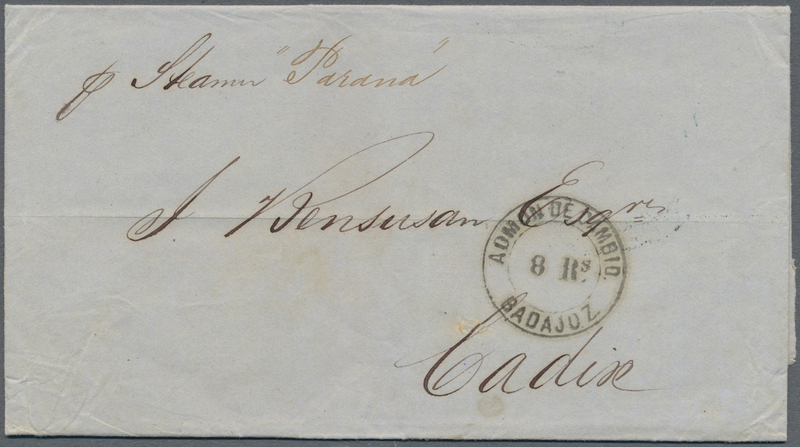 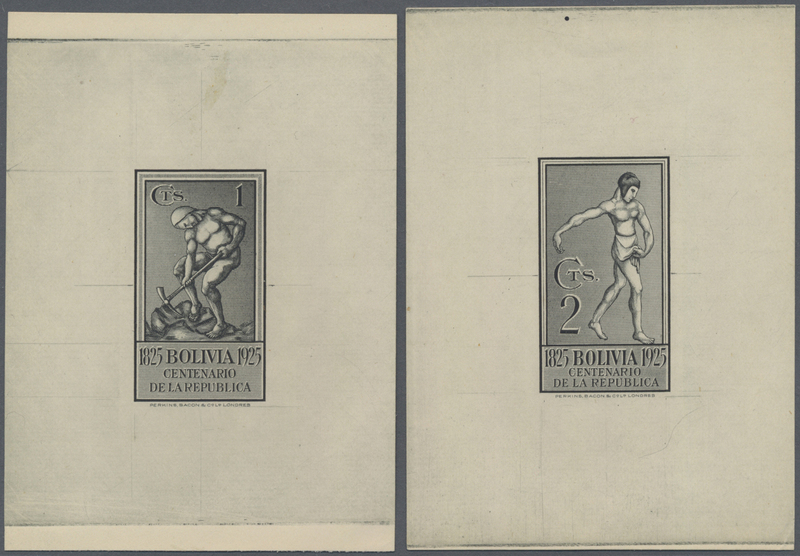 ), IMPERIO DO BRAZIL/DOM PEDRO, not realised design, three die proofs 1000r. 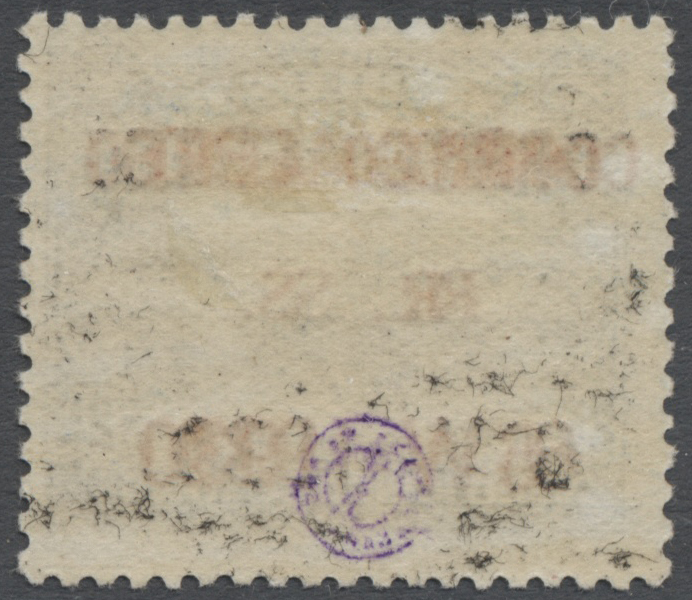 blackish violet, 1000r. 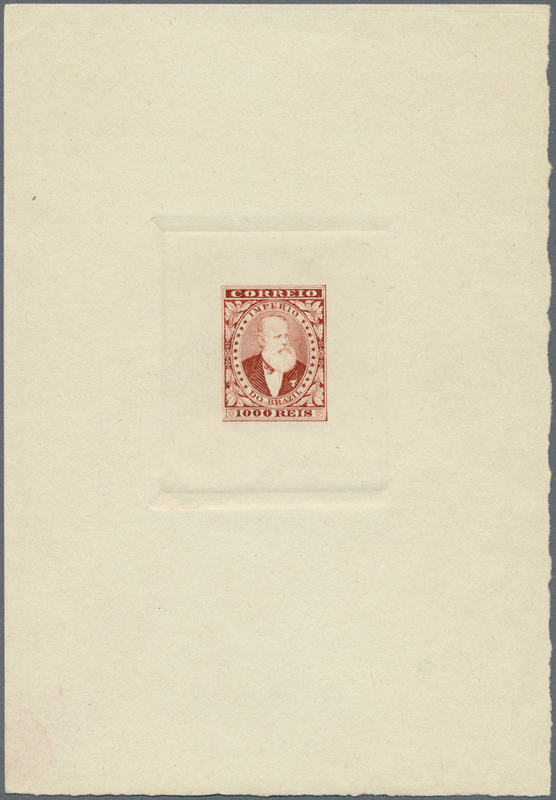 vermilion and 1000r. 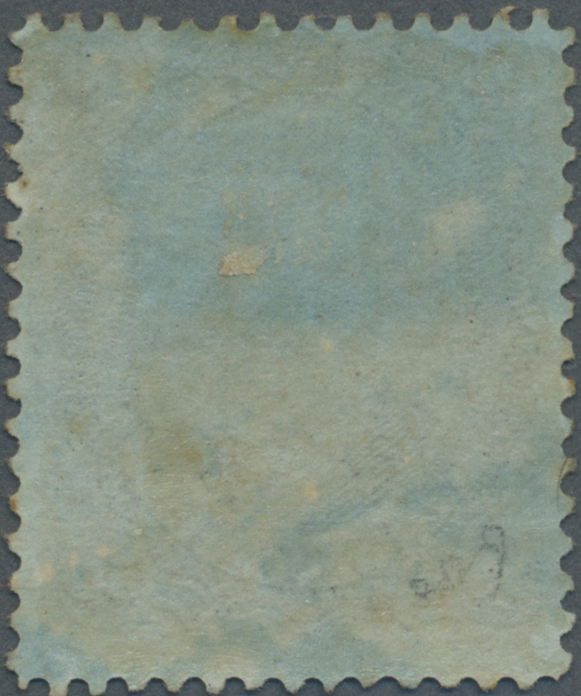 steel blue.